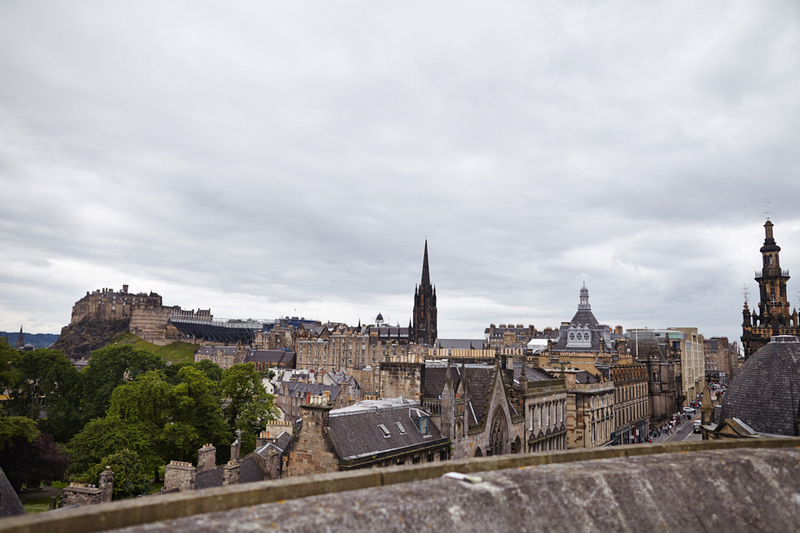 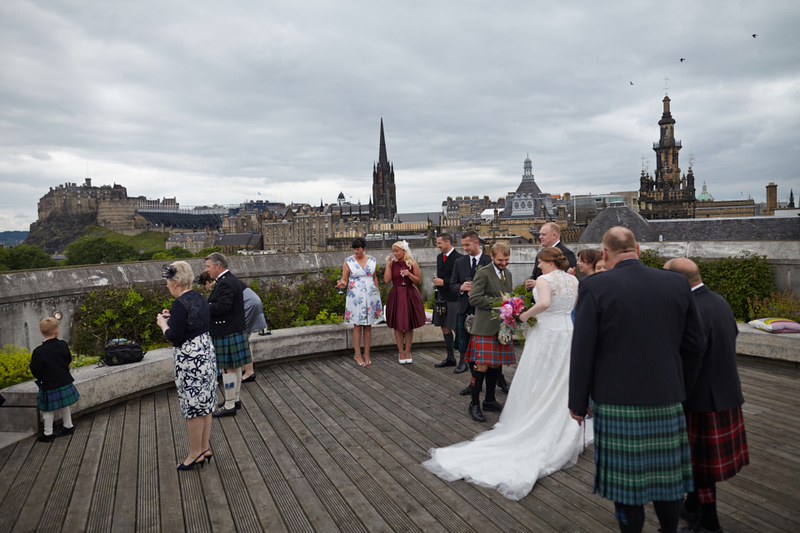 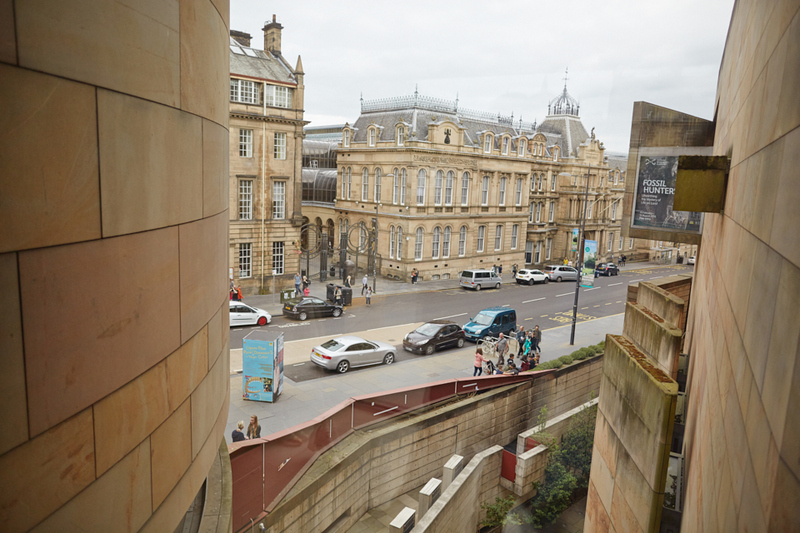 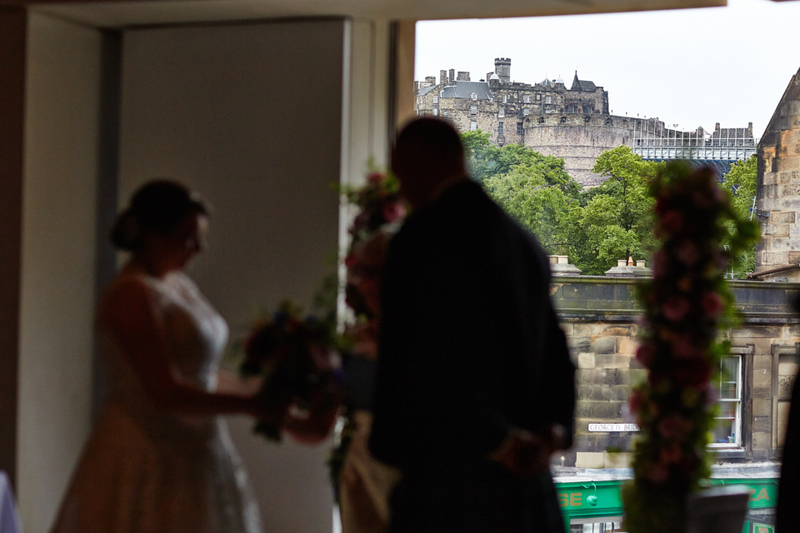 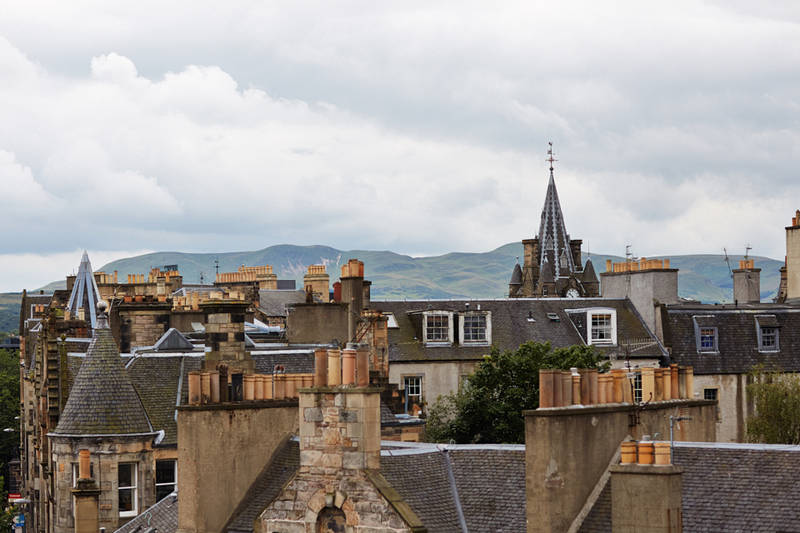 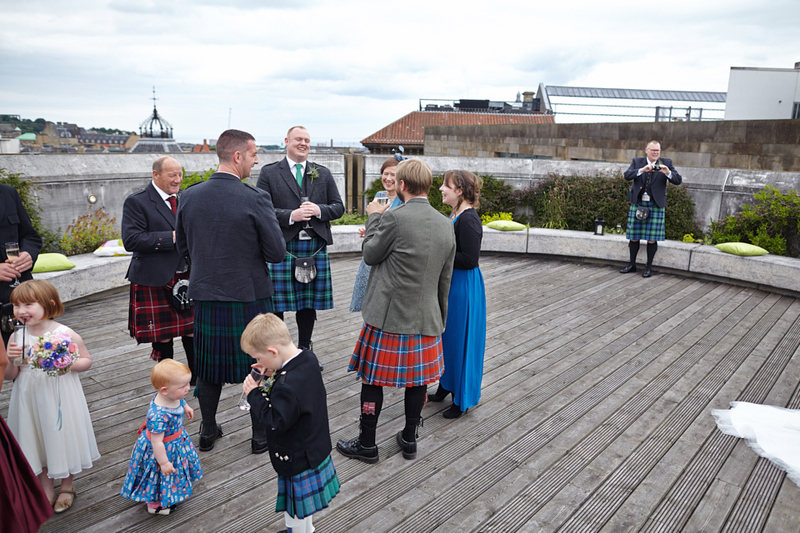 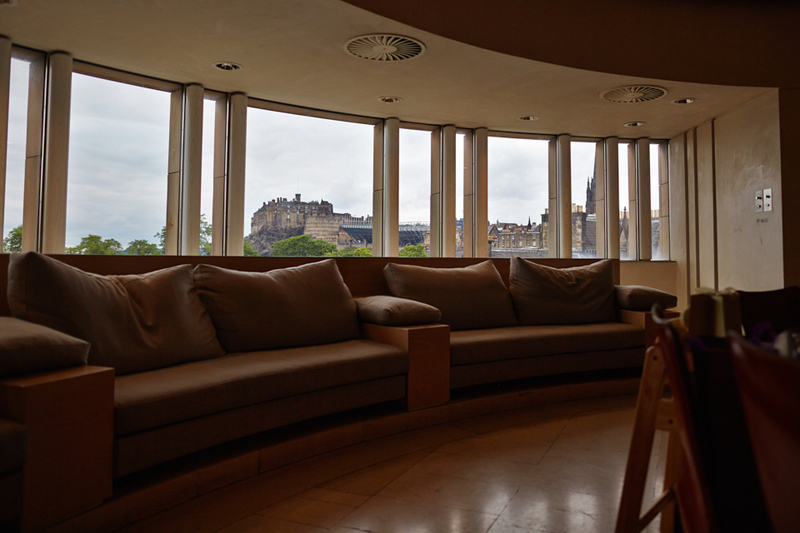 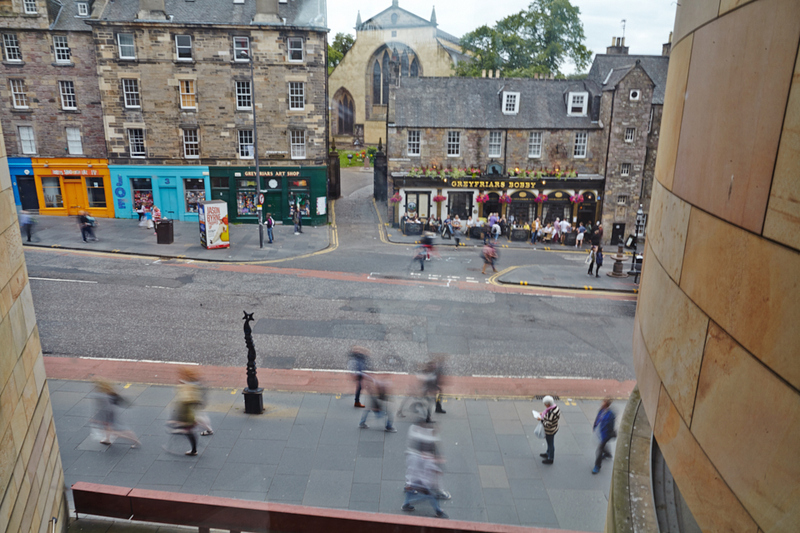 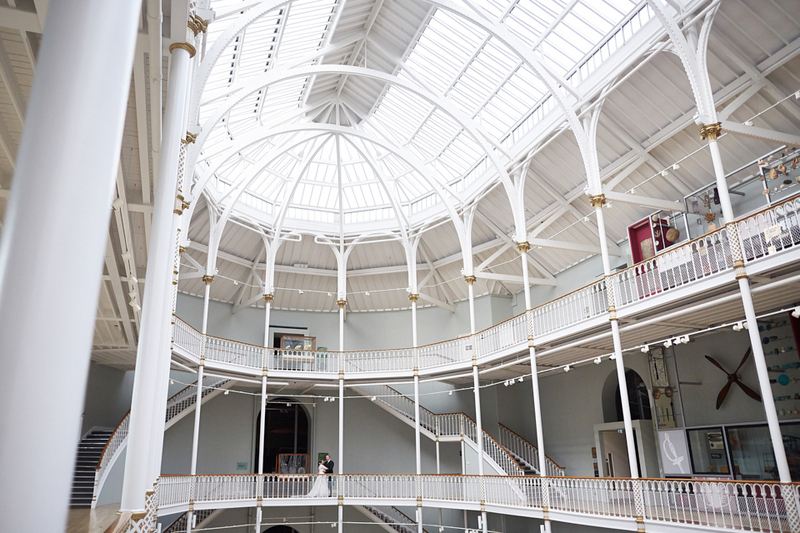 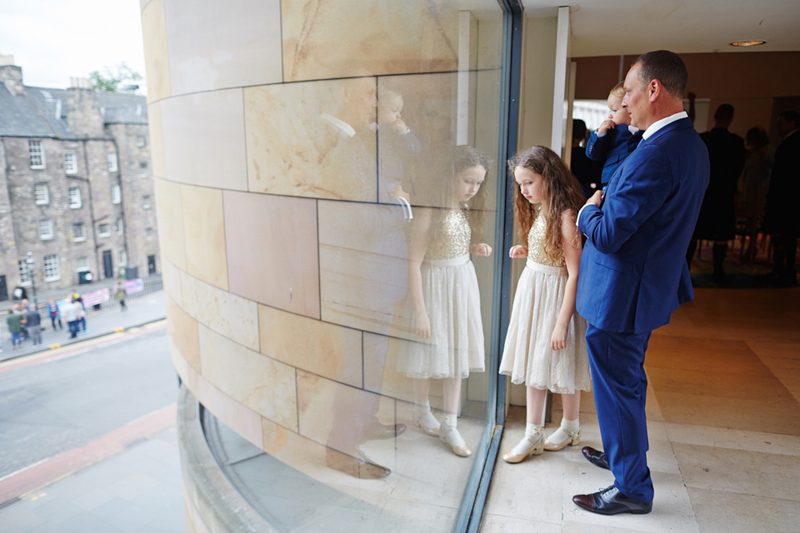 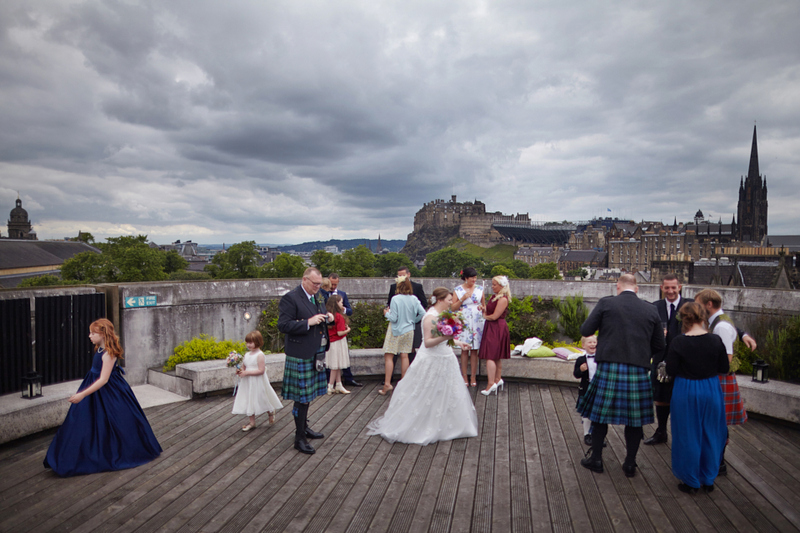 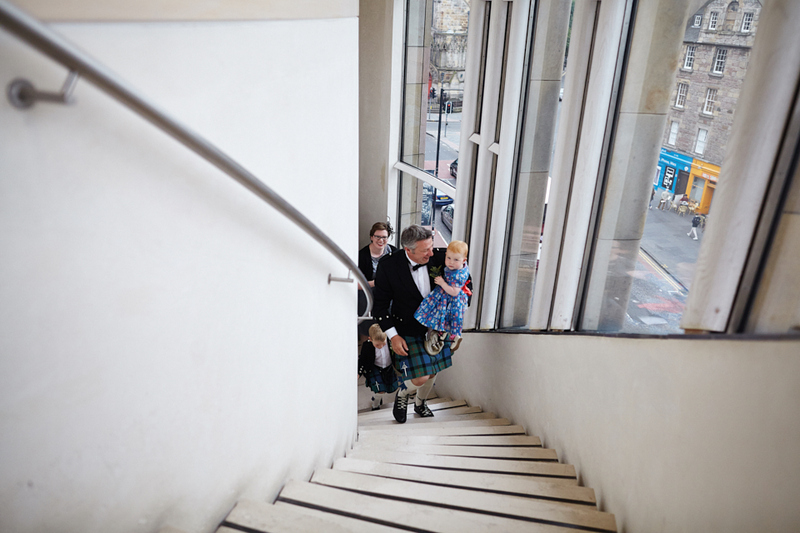 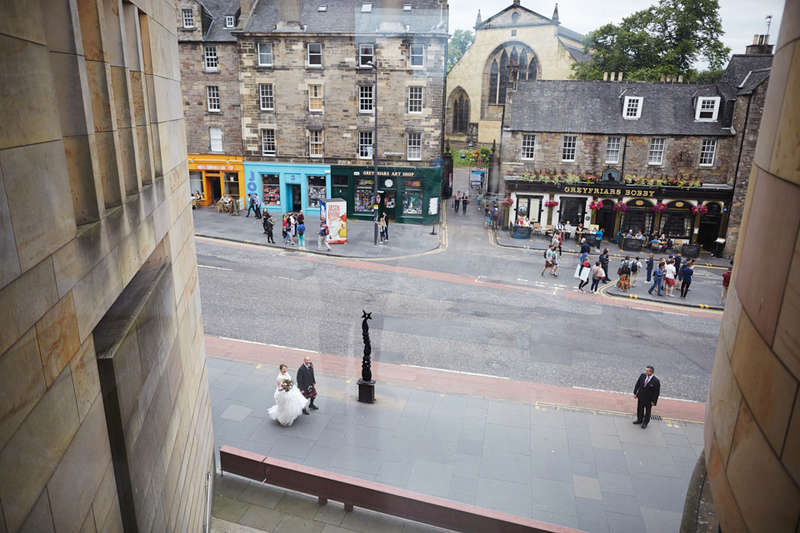 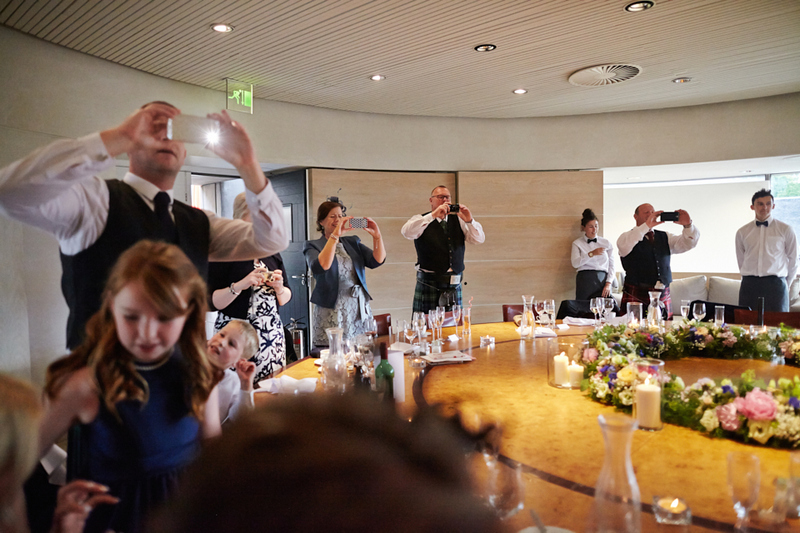 I never knew that there is a special part of the building for weddings and other events that offers such fantastic views at the Edinburgh city and Edinburgh castle. 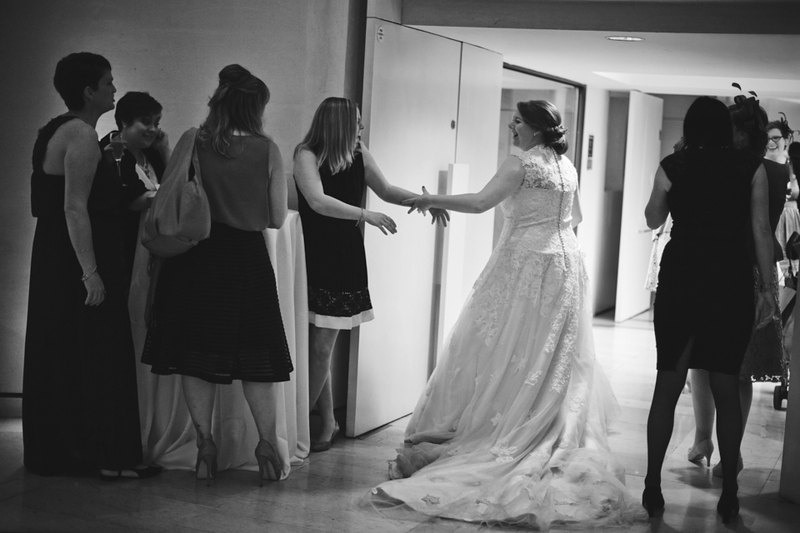 I loved being there! 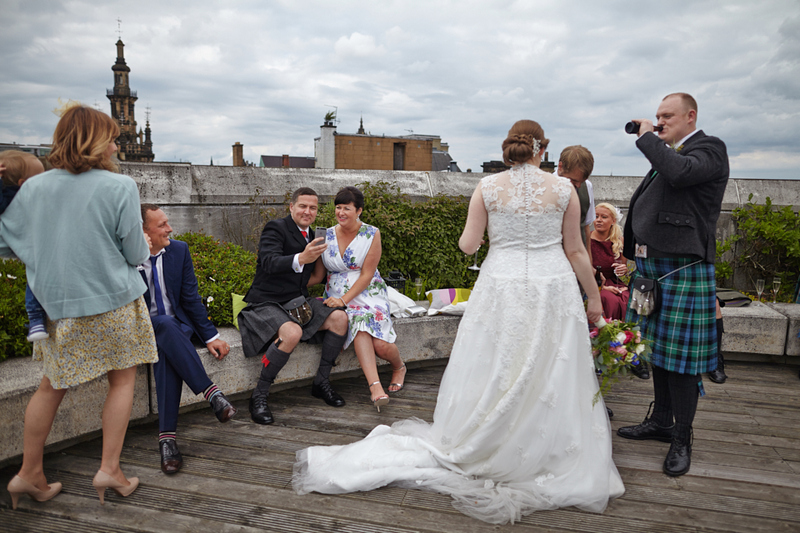 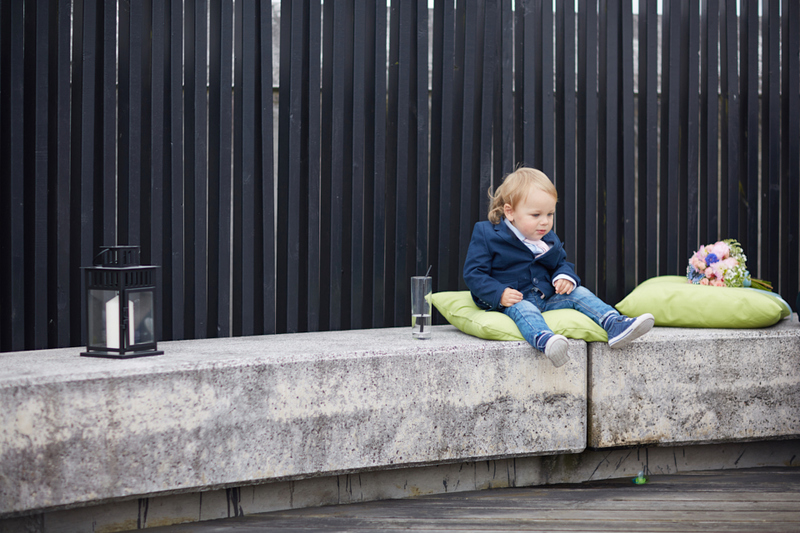 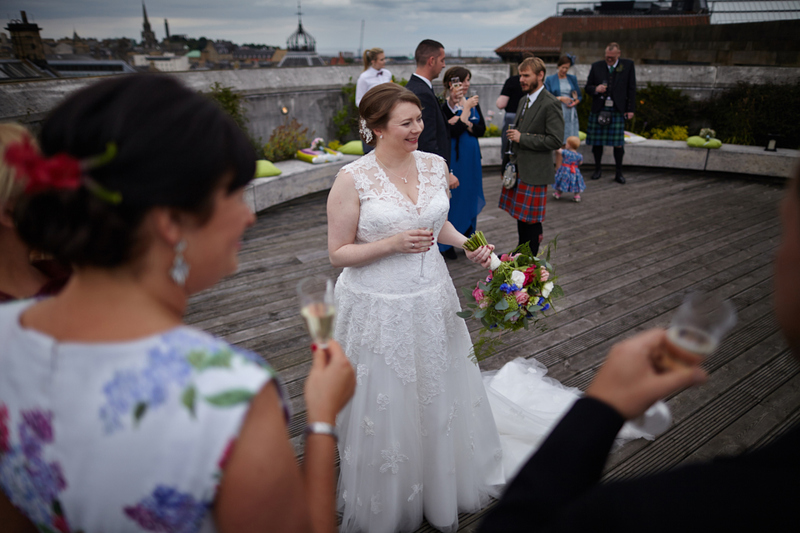 Bride and groom and their guests also enjoyed the drinks at the roof balcony with such incredible views. 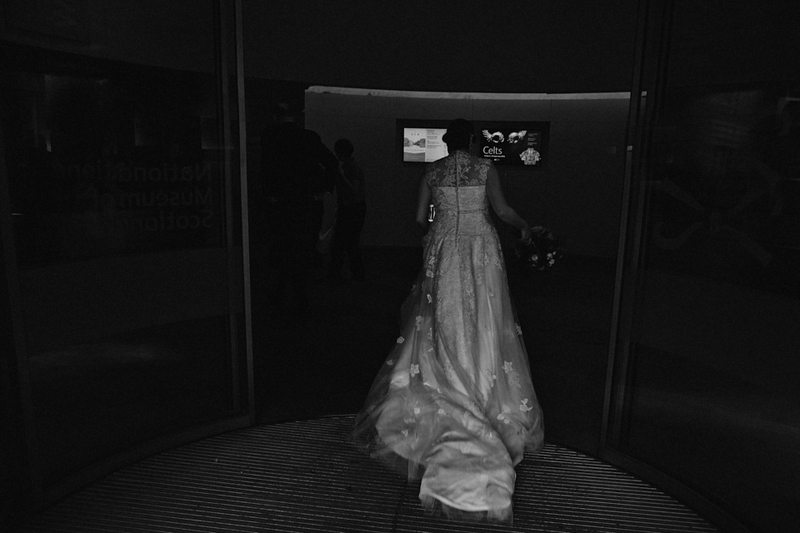 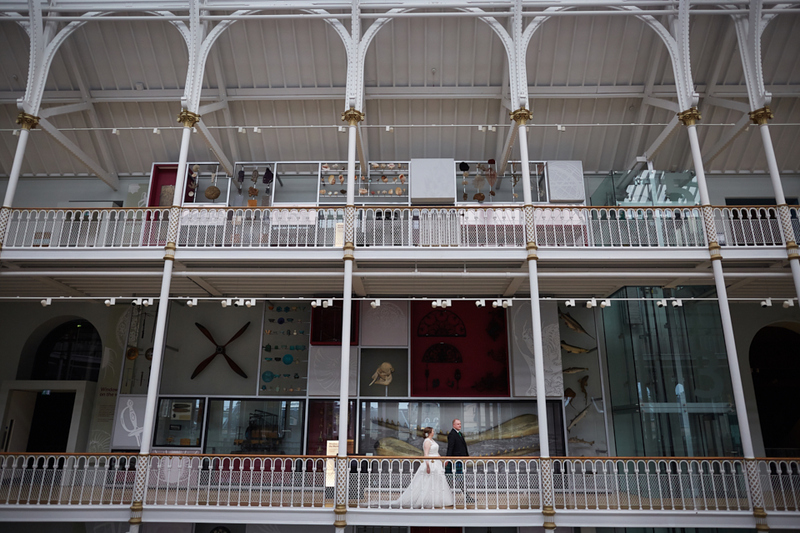 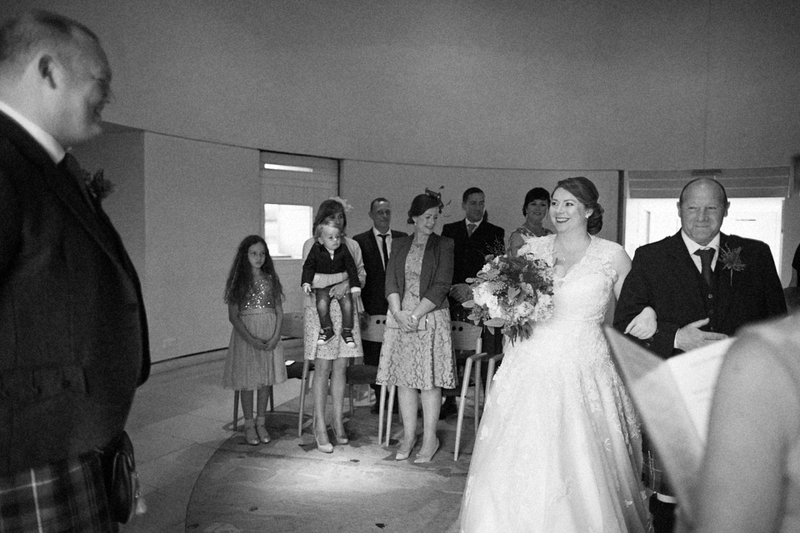 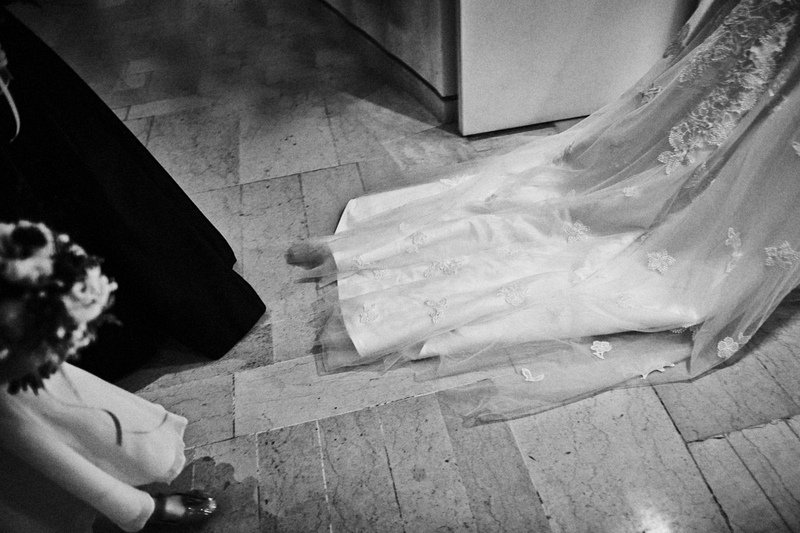 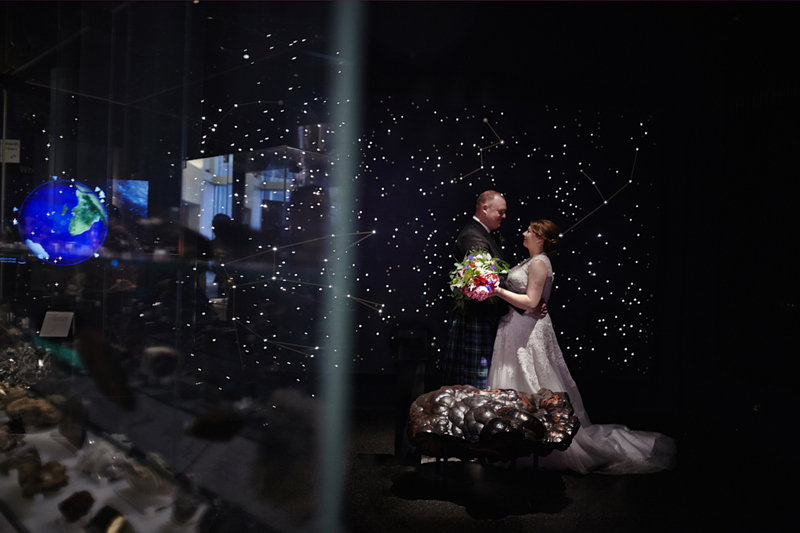 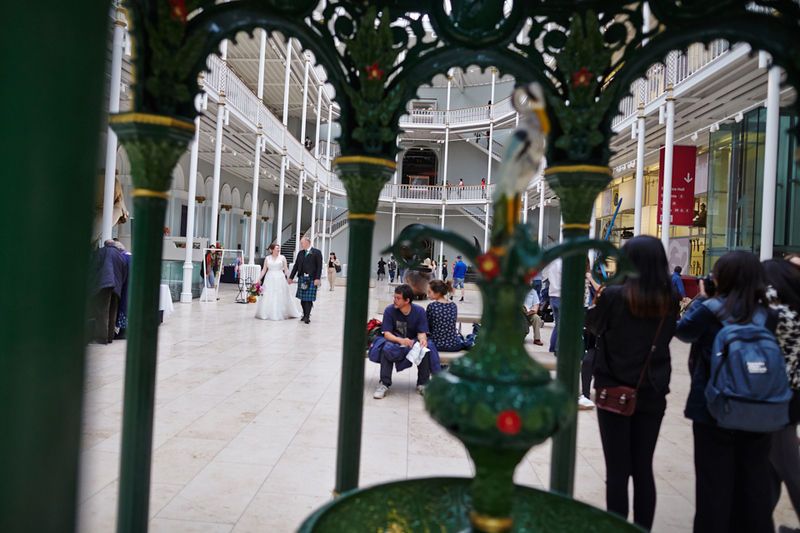 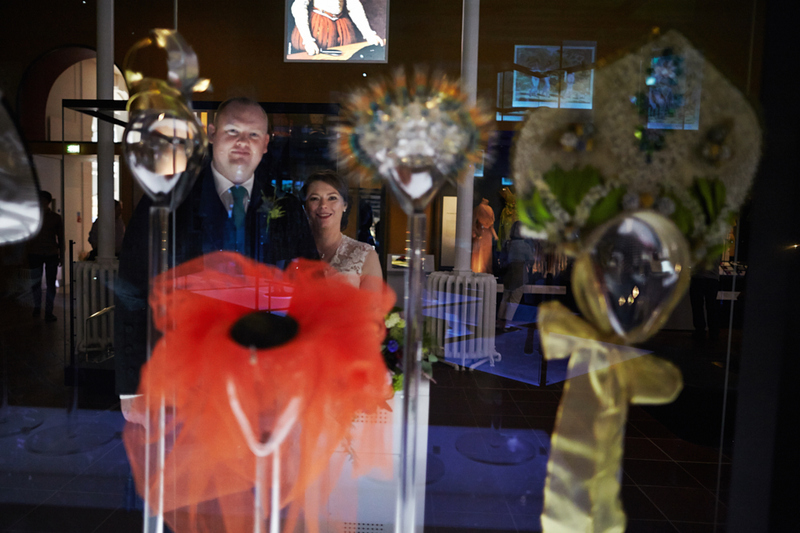 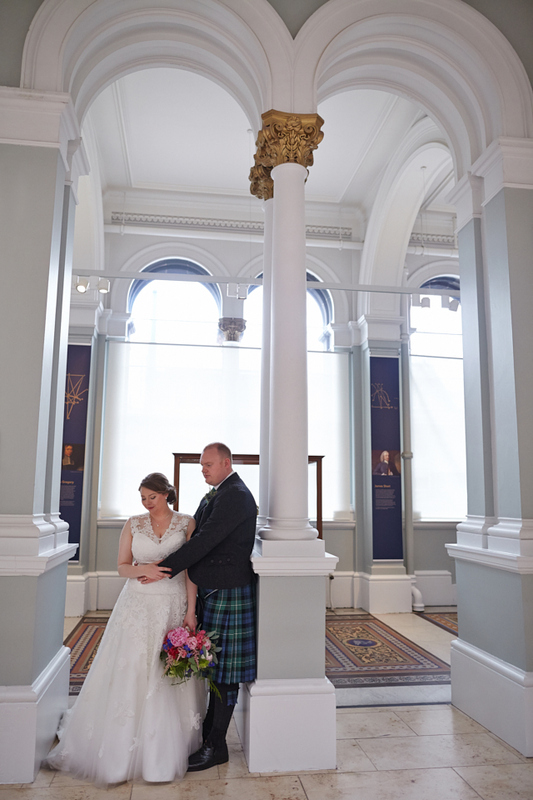 Wedding photographs at the museum were fun and such a variety of backgrounds! 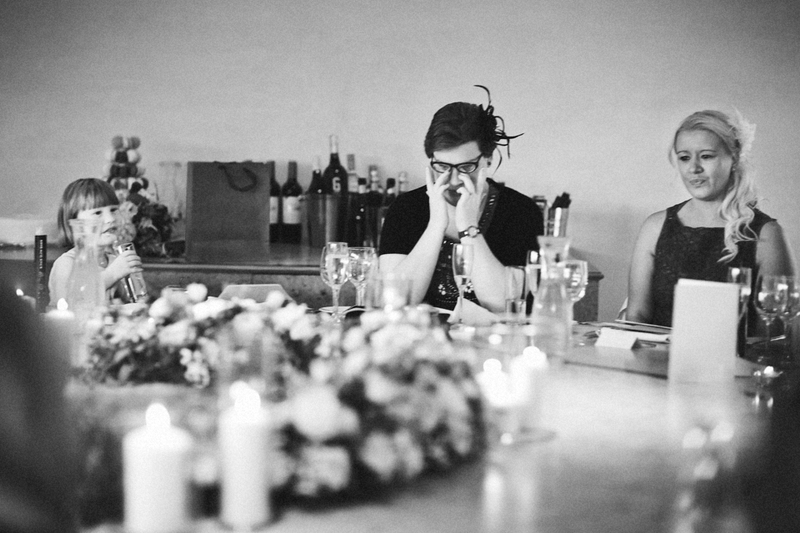 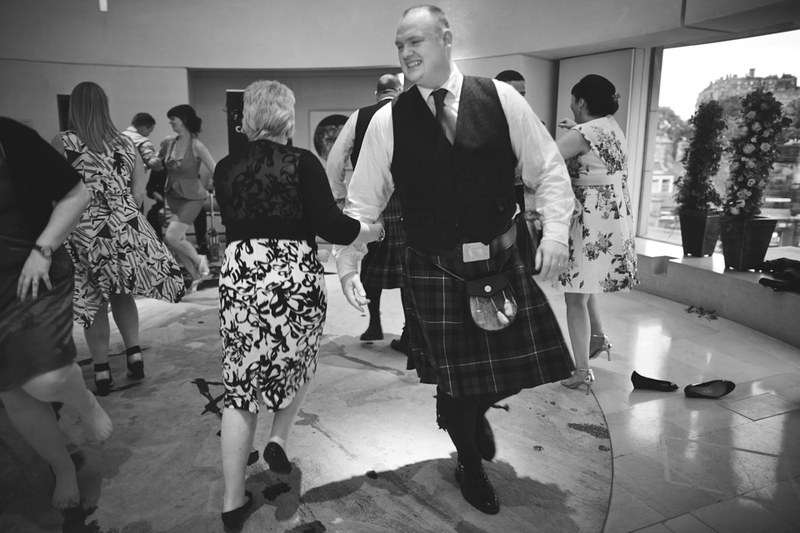 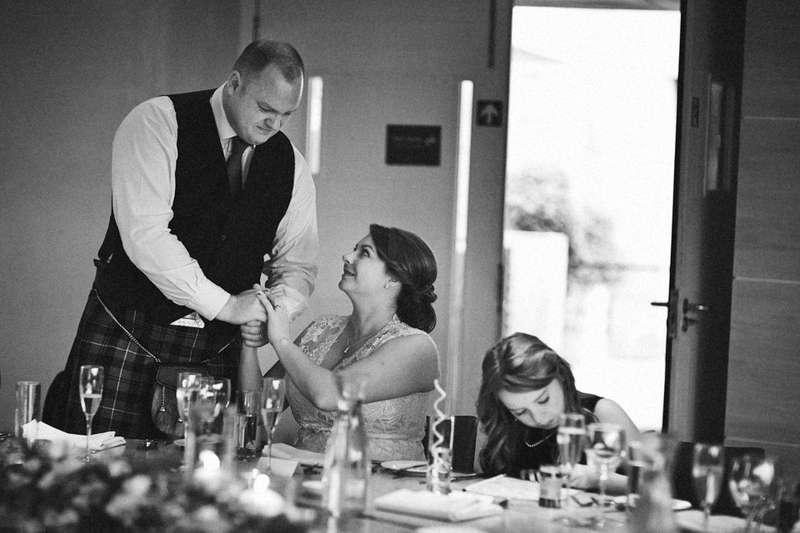 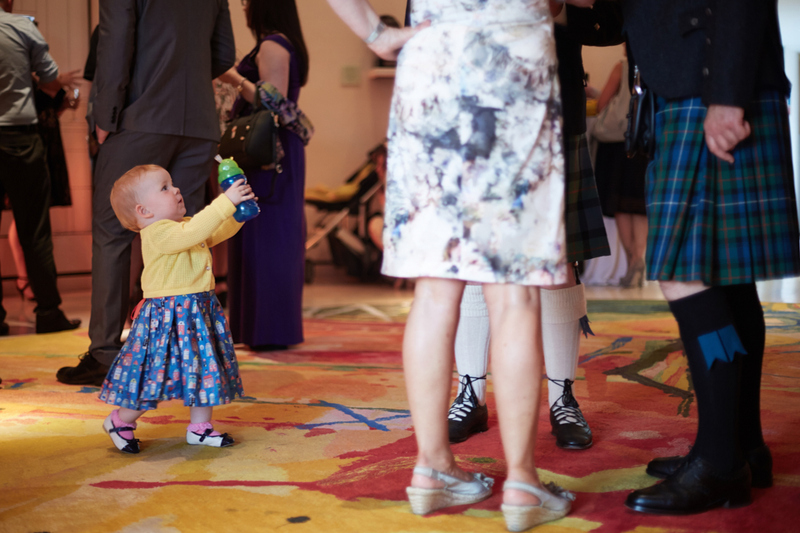 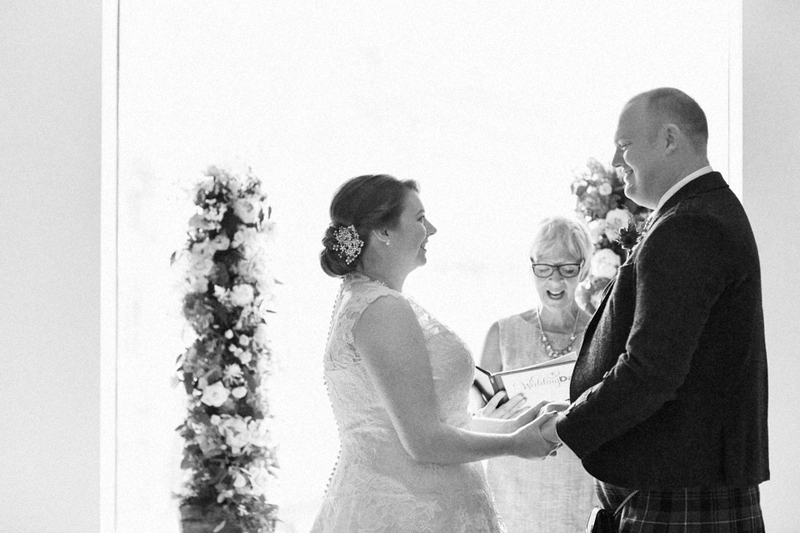 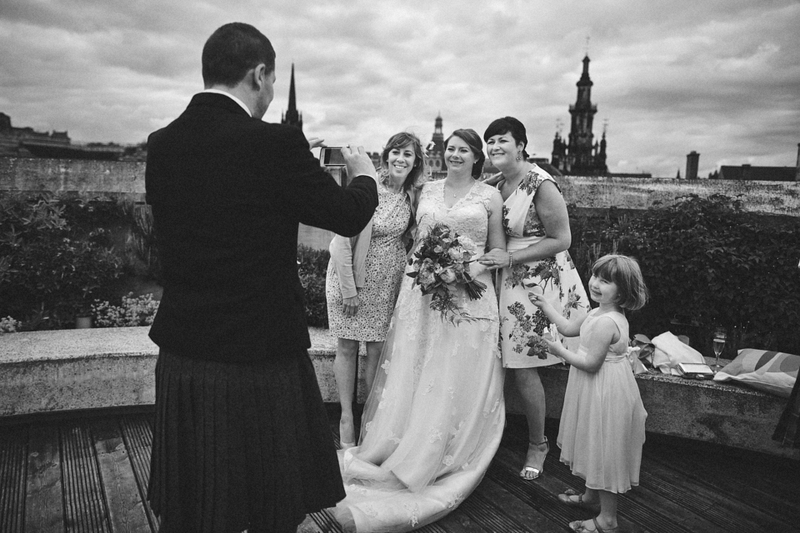 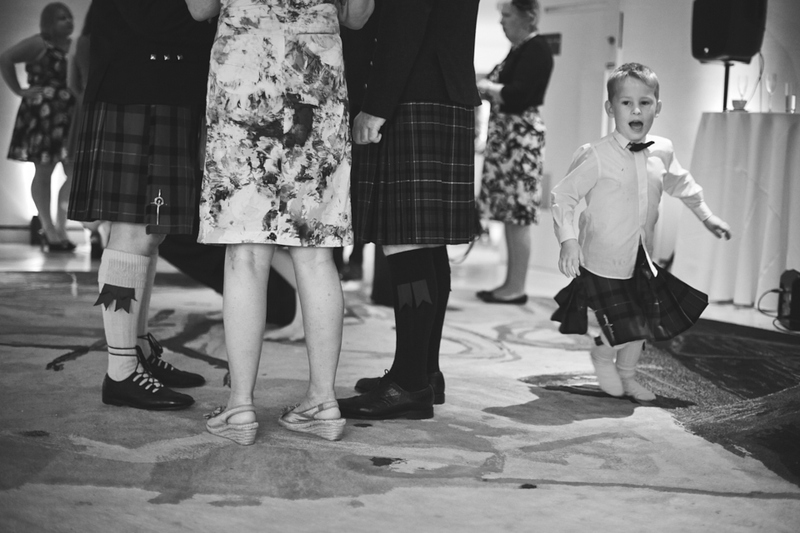 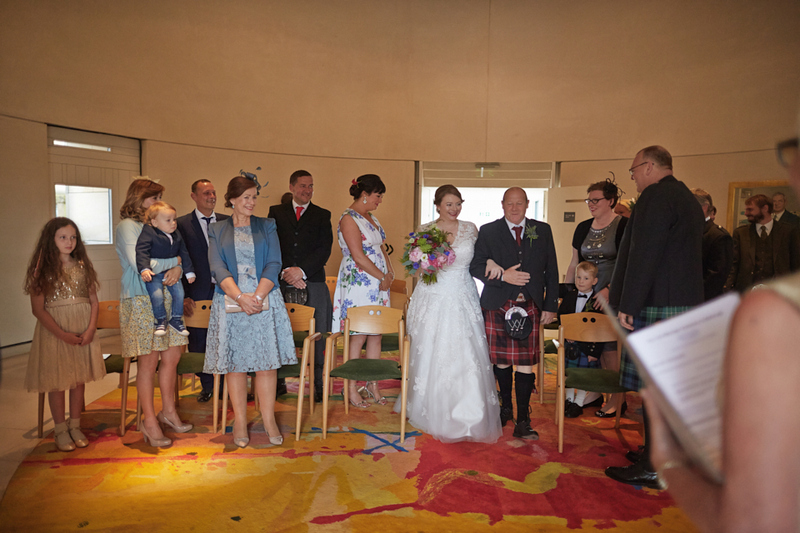 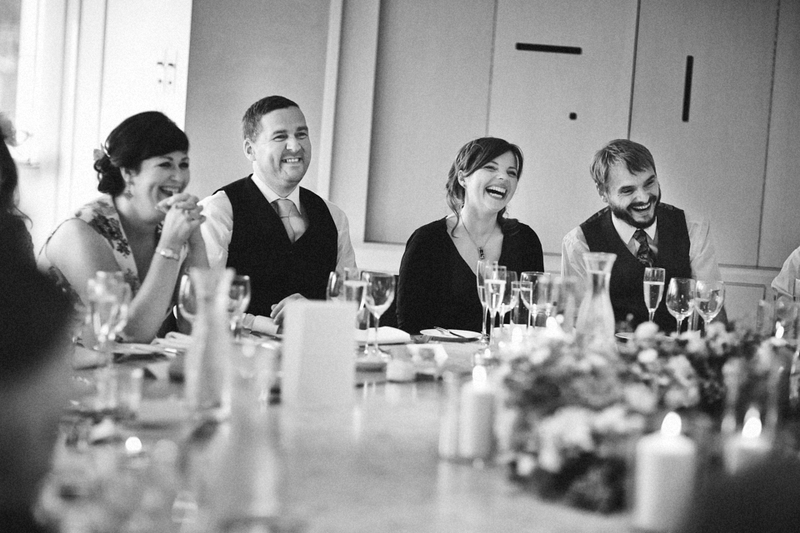 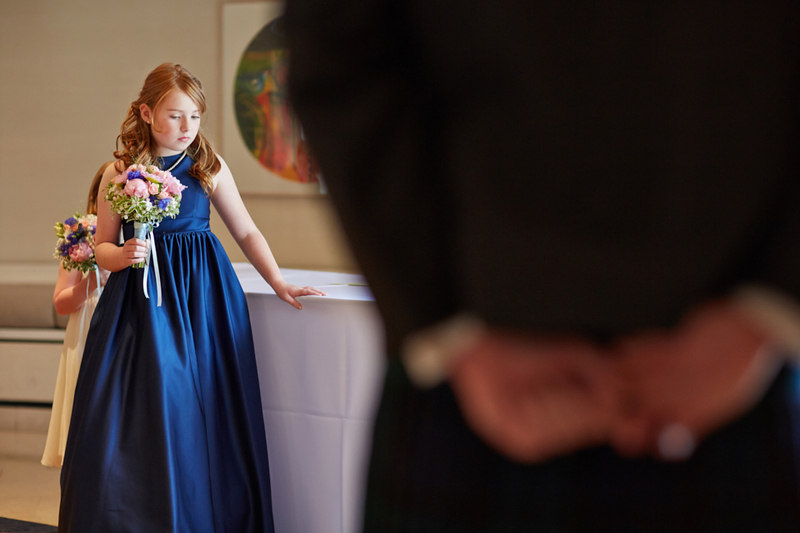 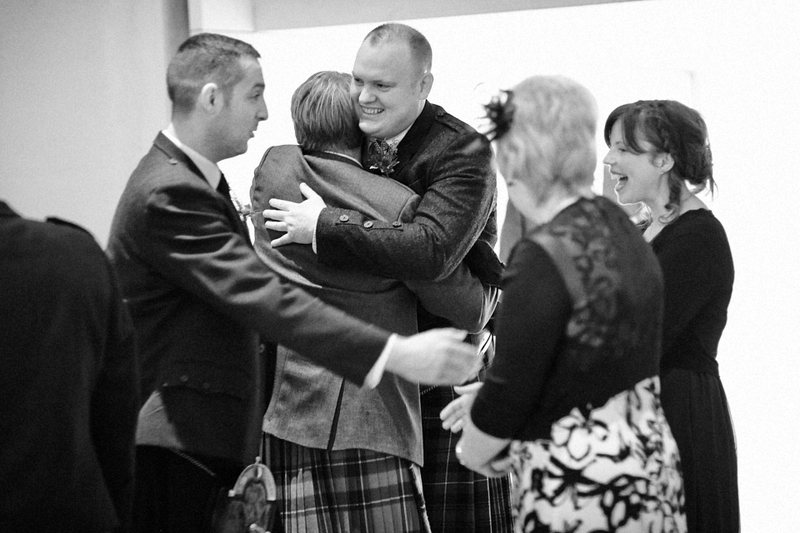 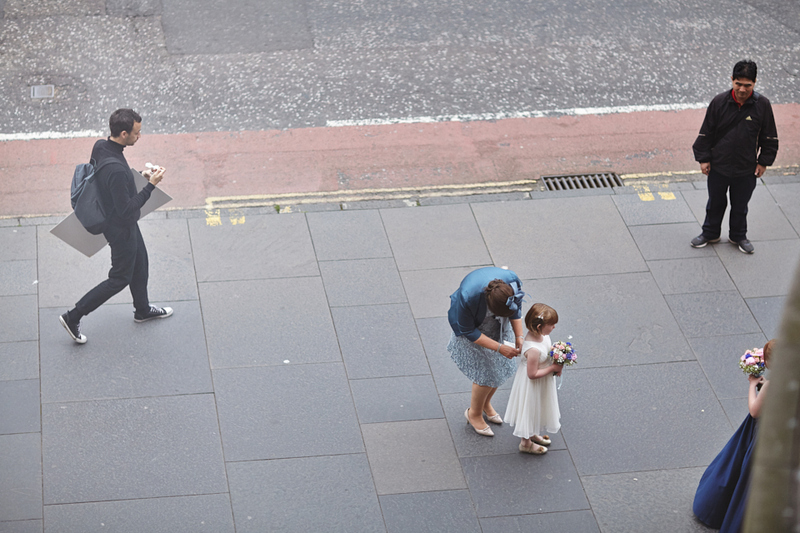 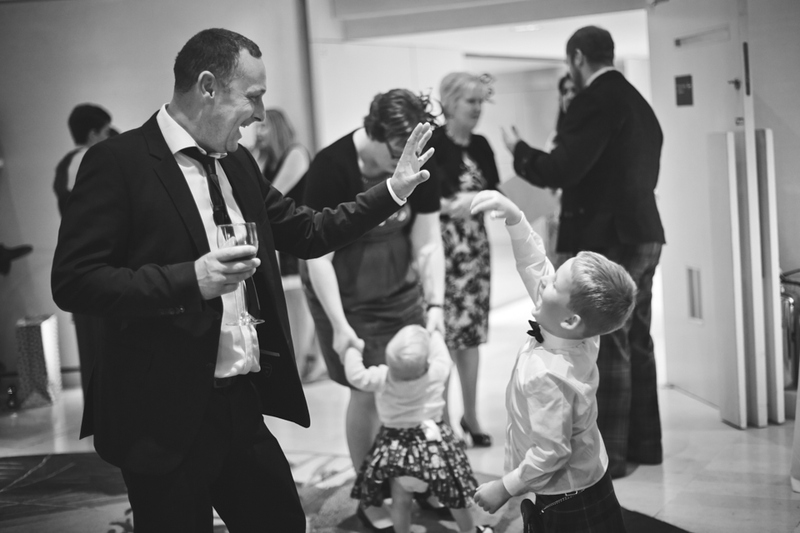 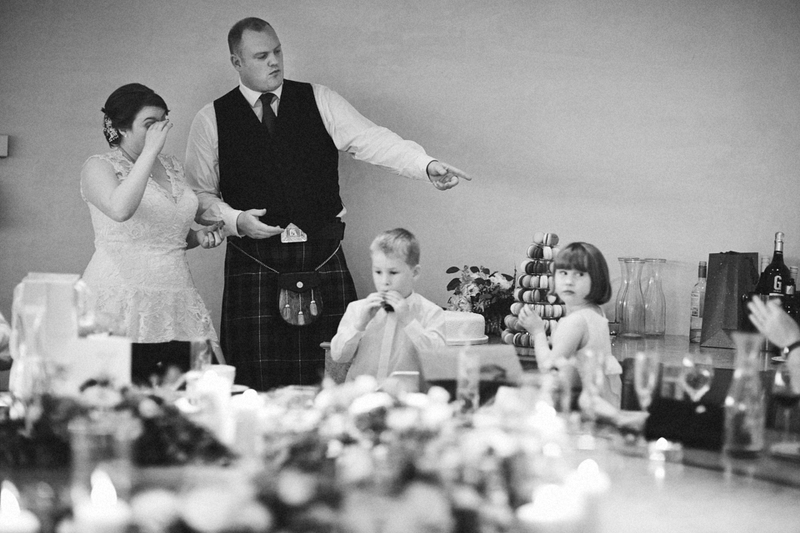 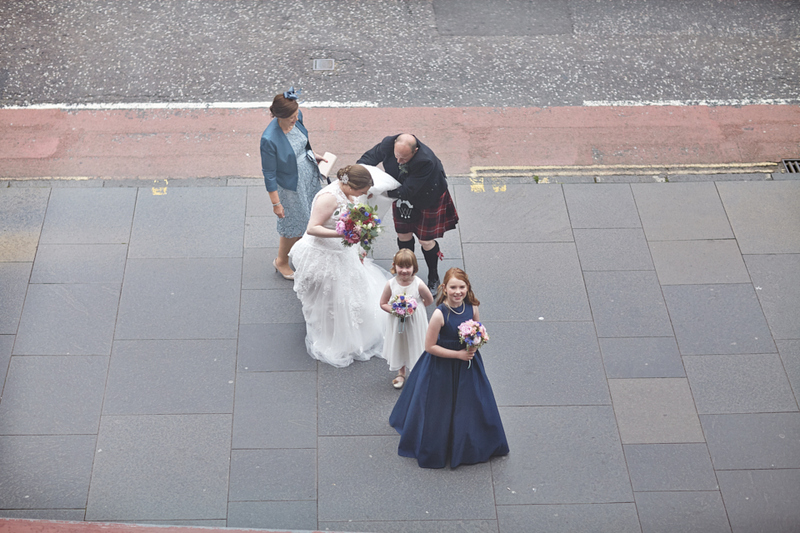 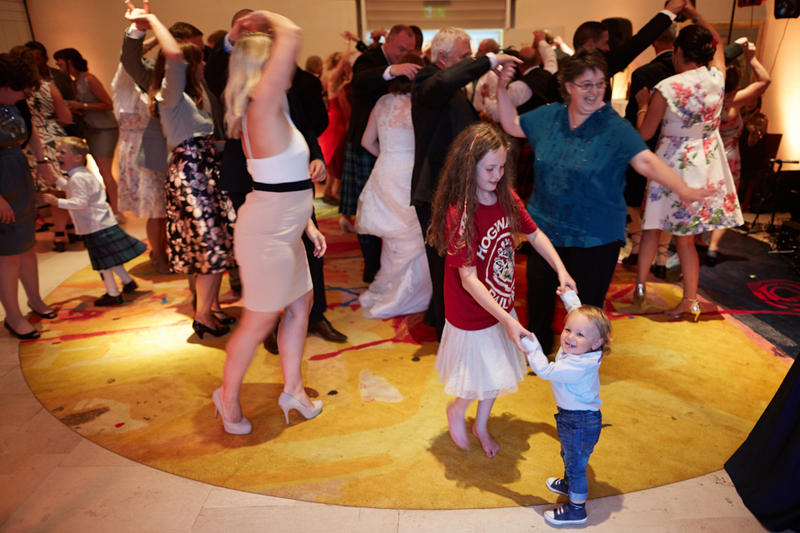 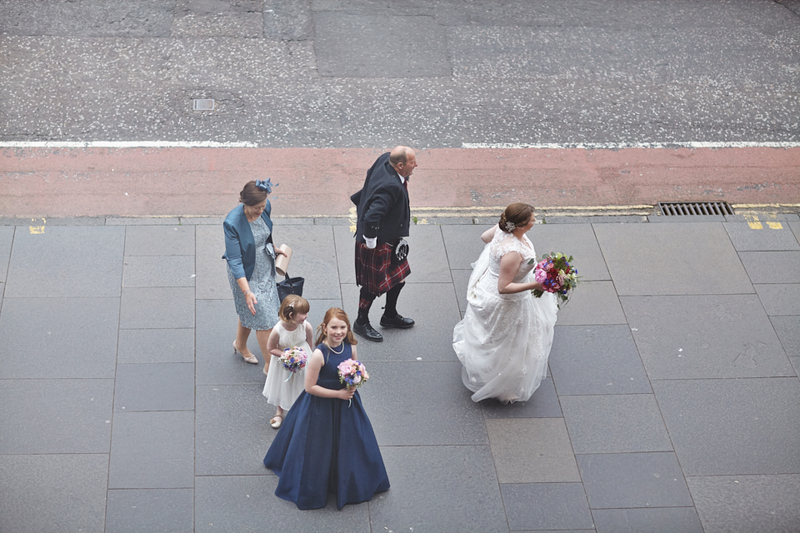 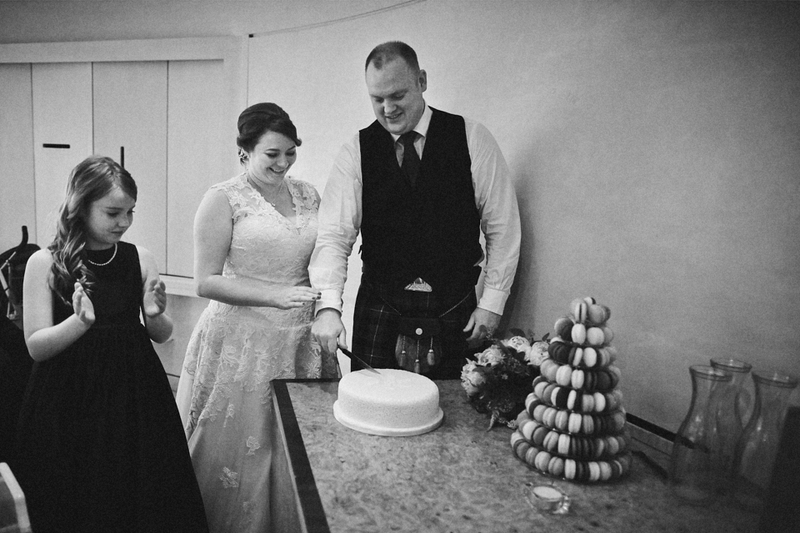 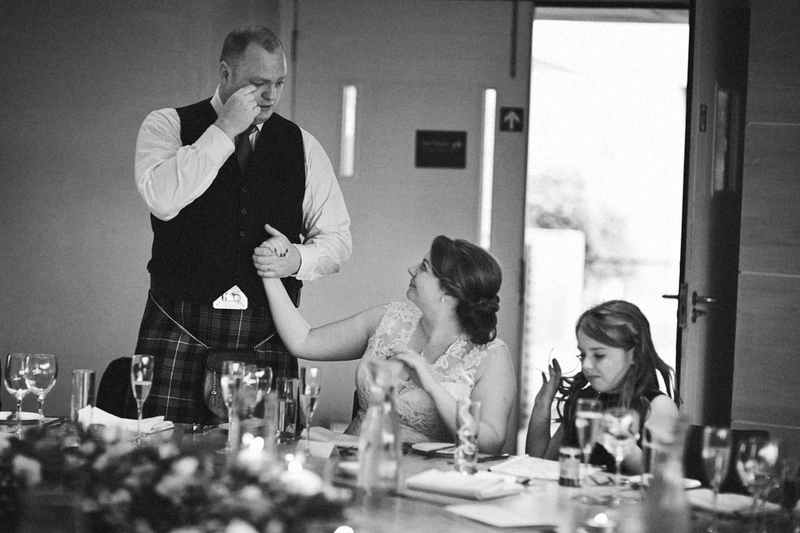 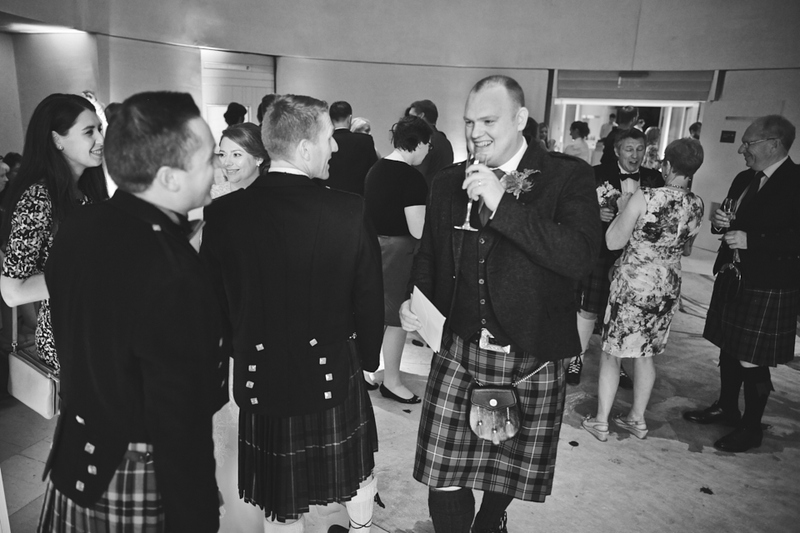 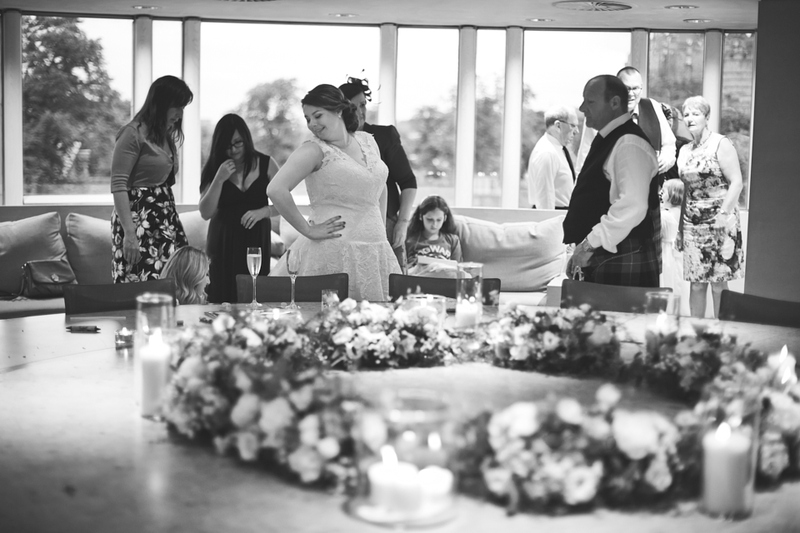 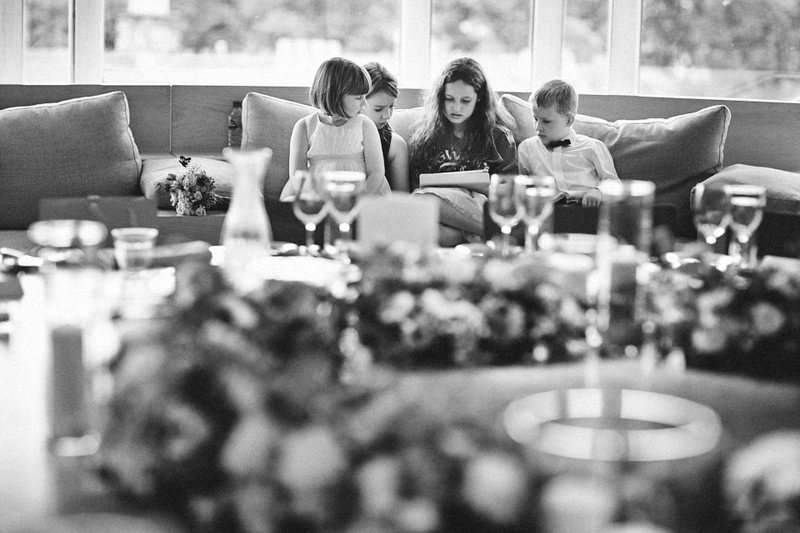 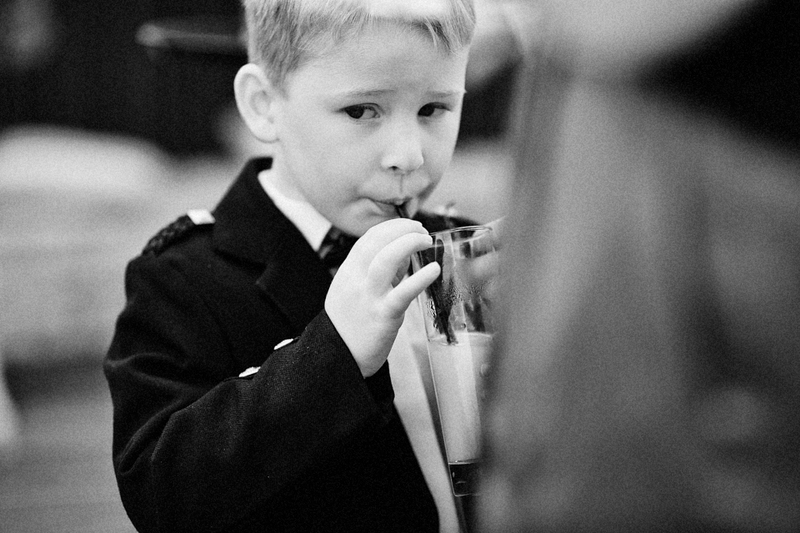 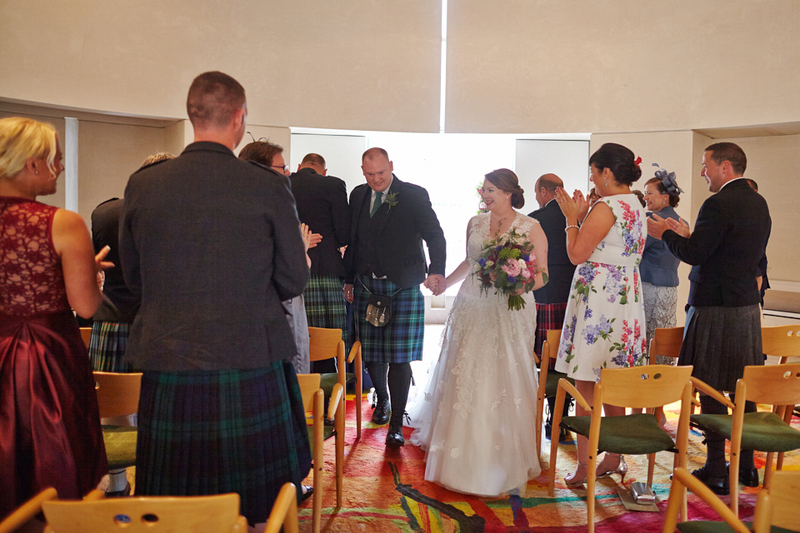 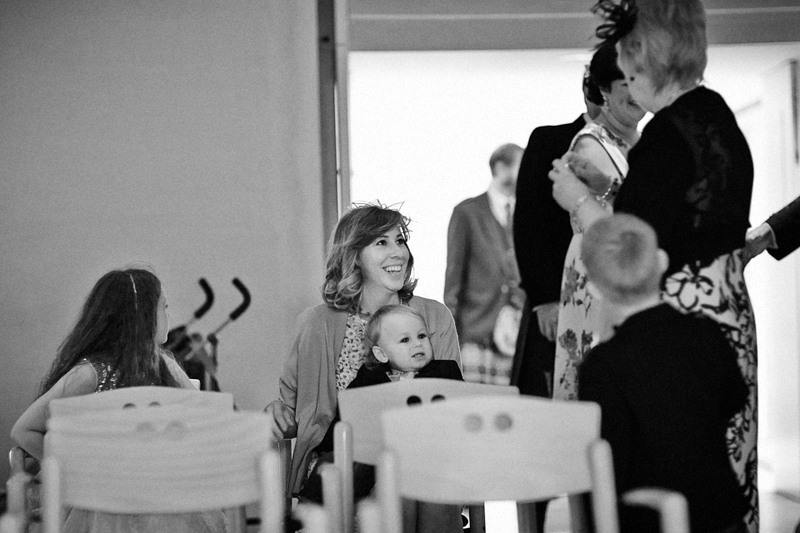 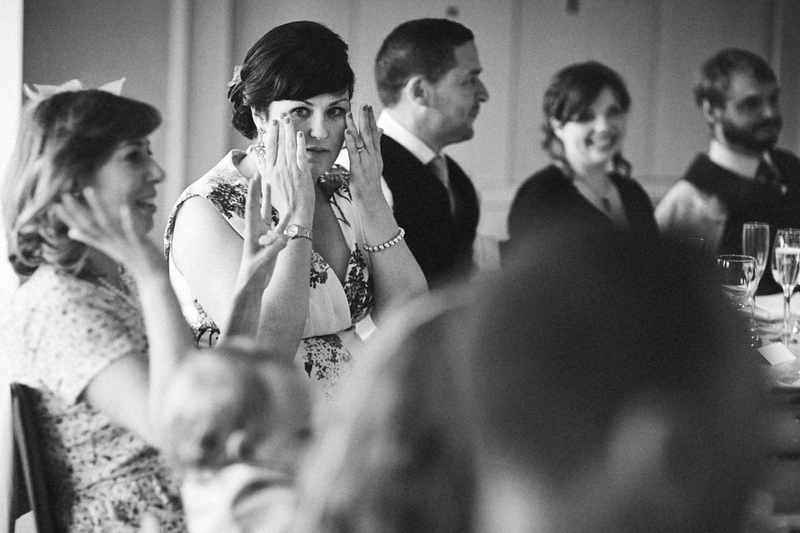 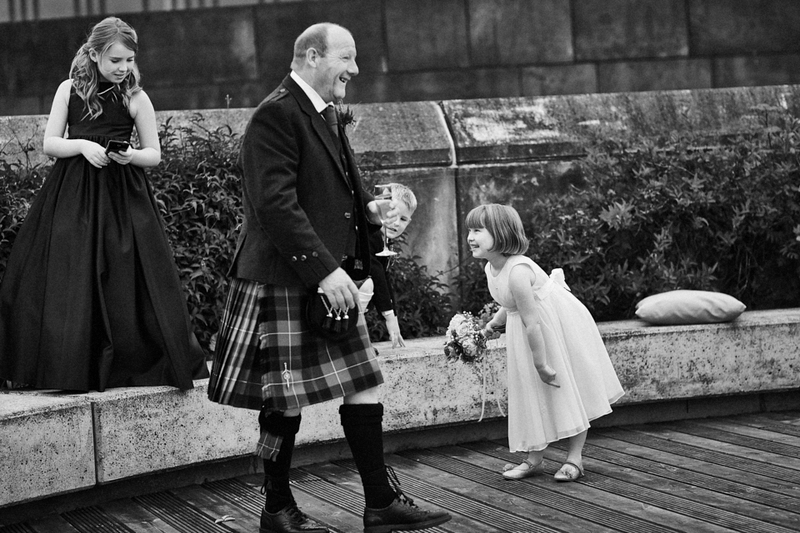 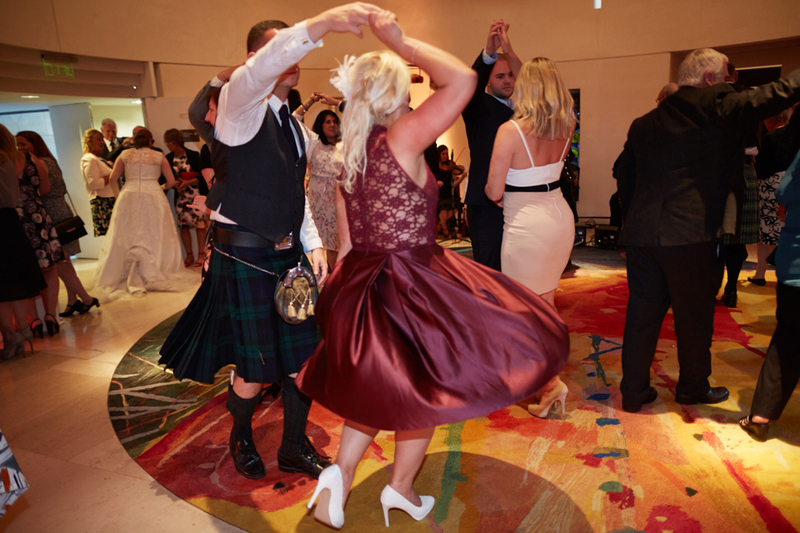 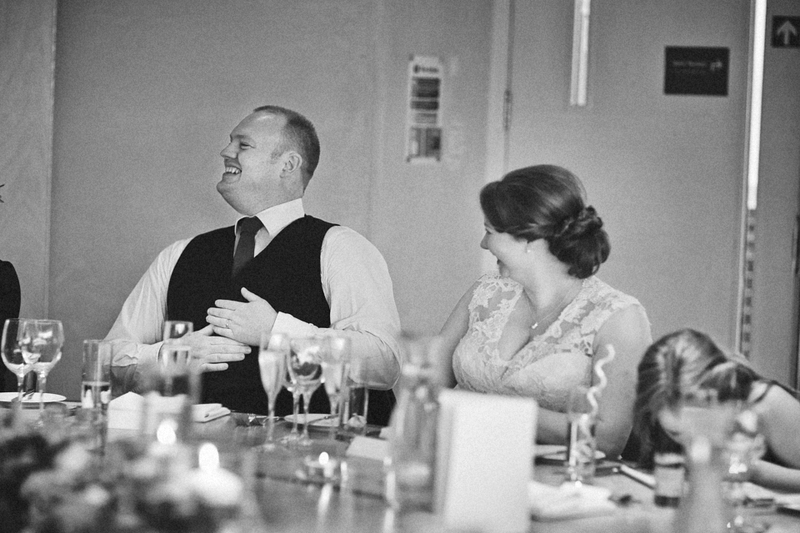 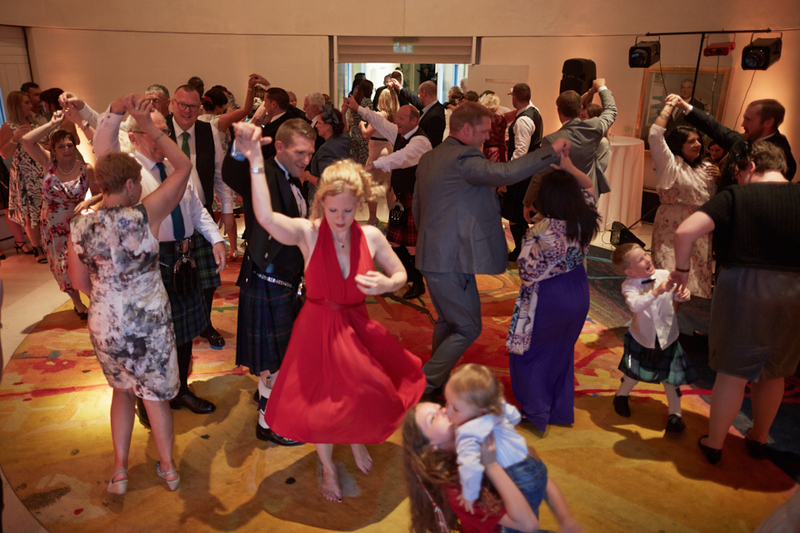 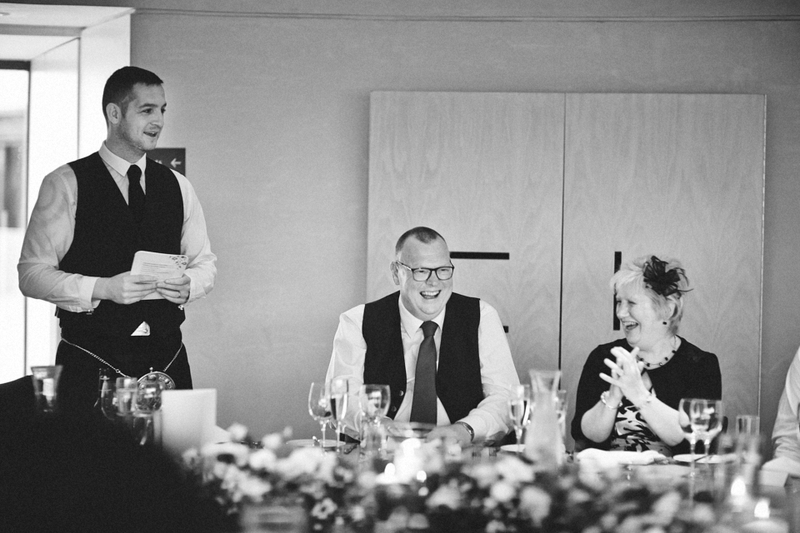 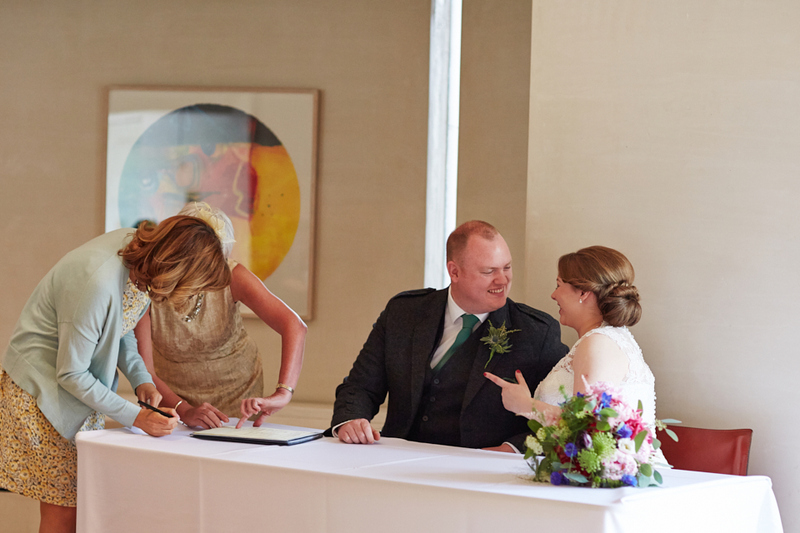 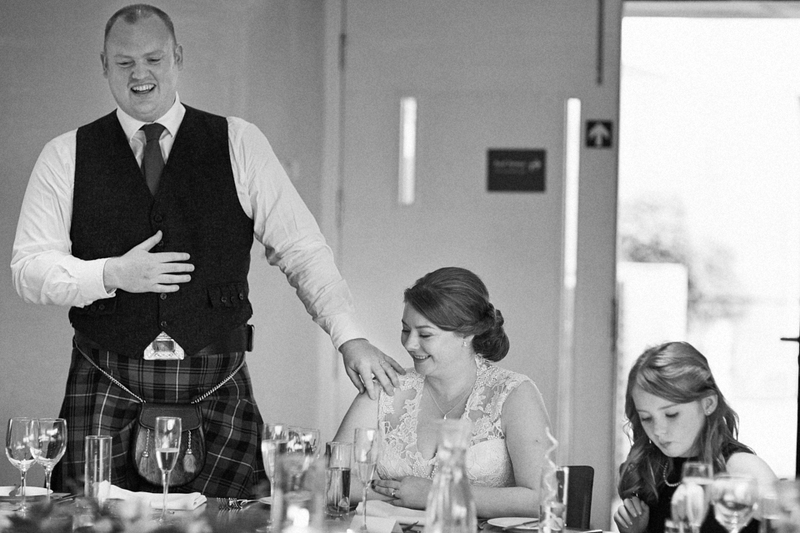 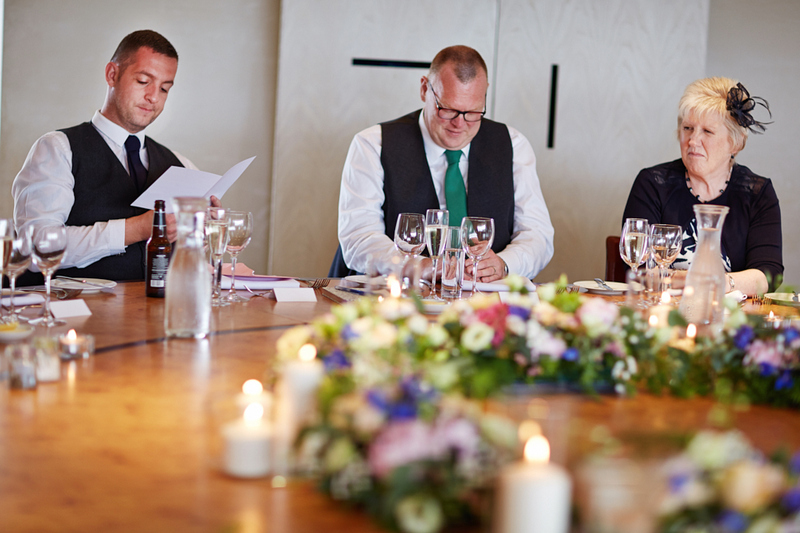 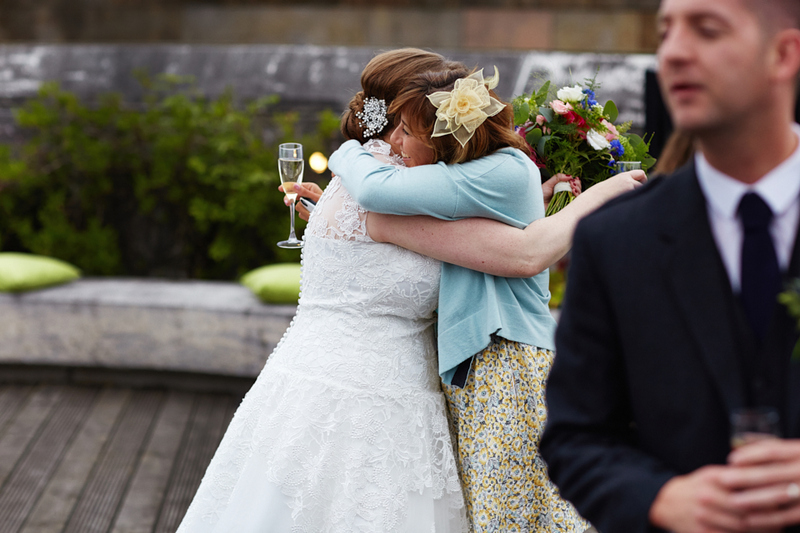 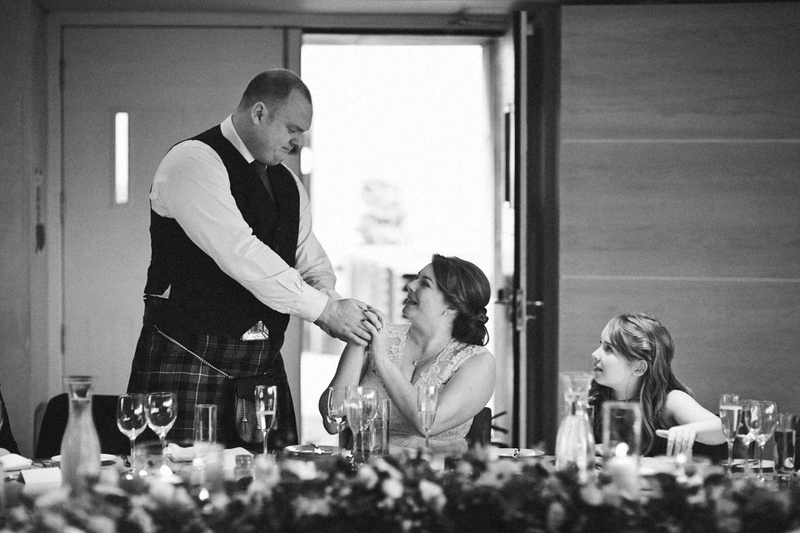 Good moods, lots of laughing and a warm day made this a perfect summer wedding in Scotland. 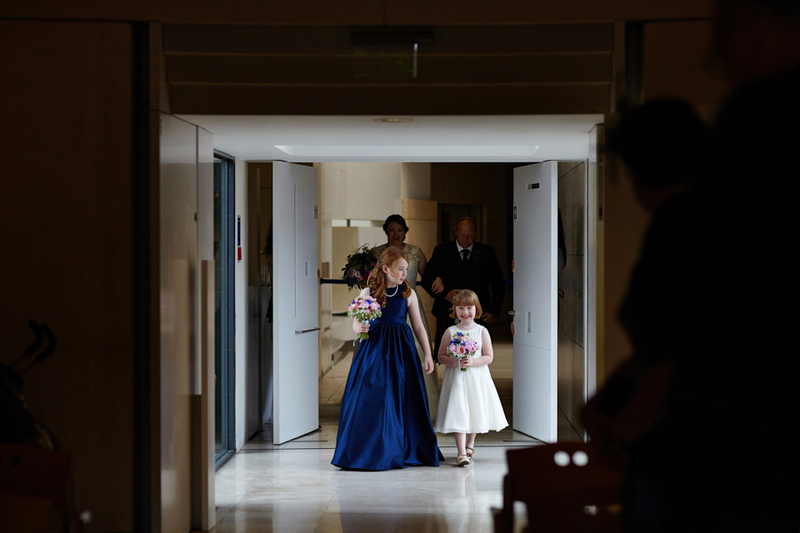 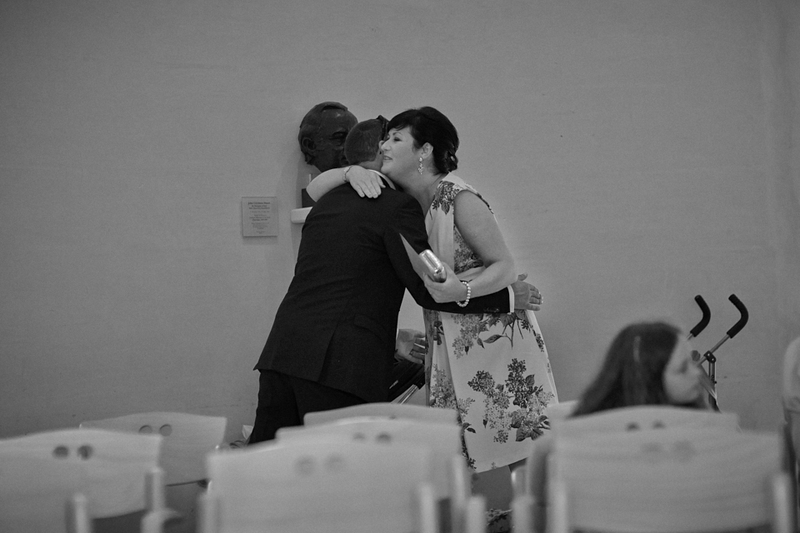 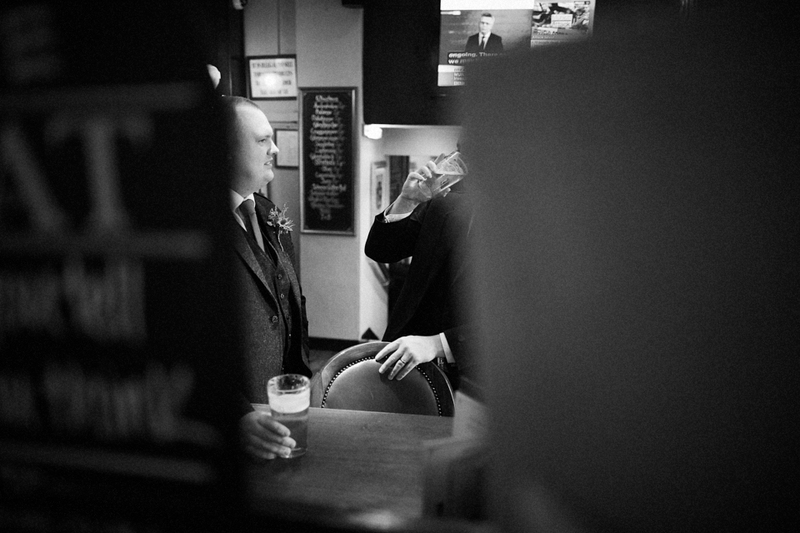 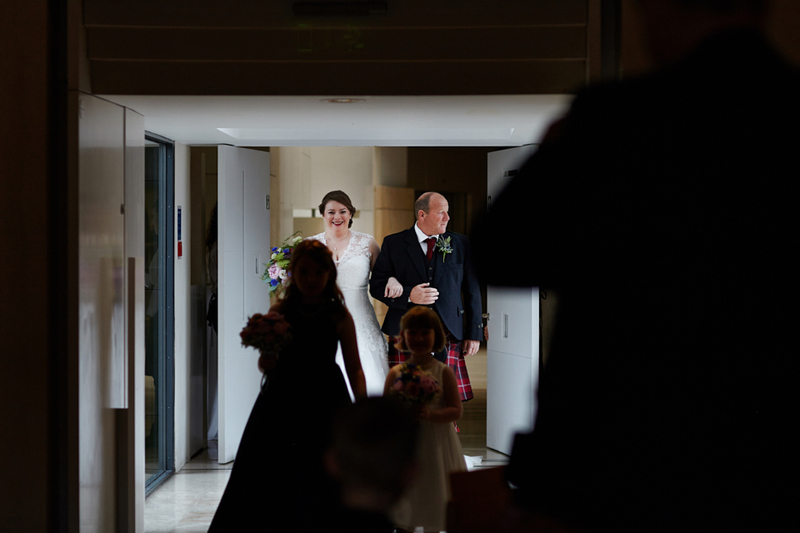 I was happy to be there to photograph these great memories, small and big moments that make a great wedding story with my reportage approach towards wedding photography. 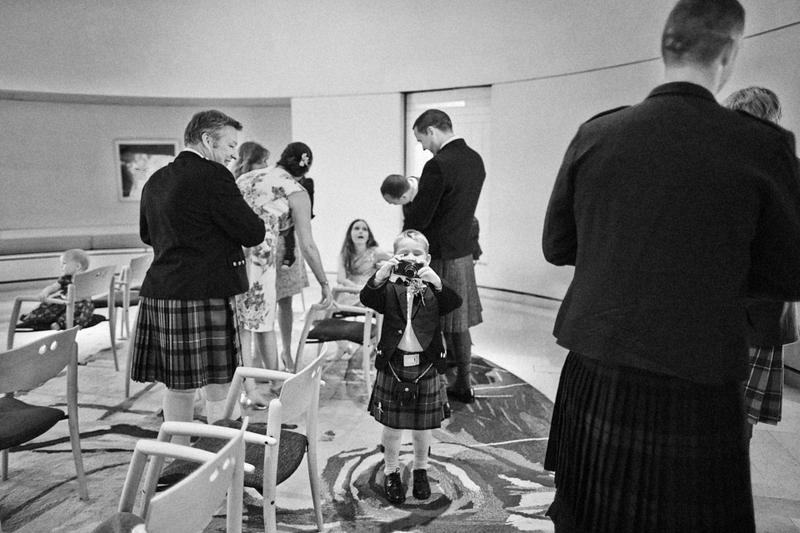 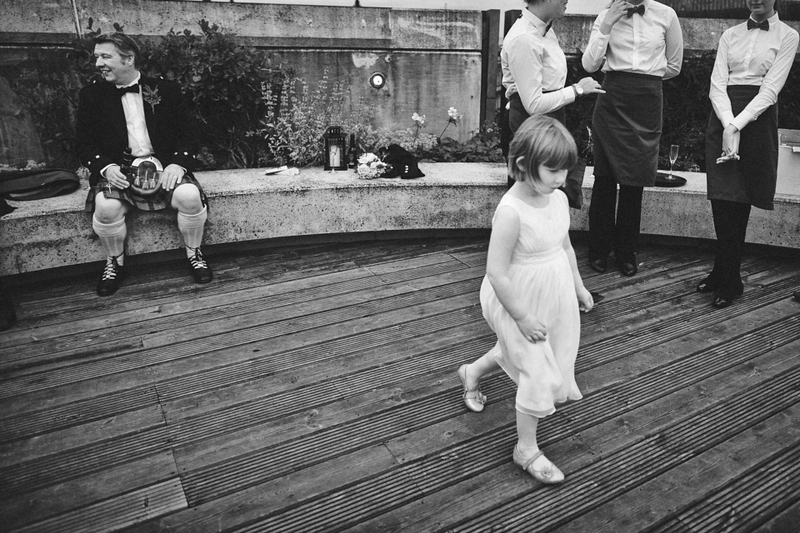 I feel more like one of couple's guests at each wedding and that lets me blend in with the wedding crowd and document the wedding in a relaxed style so everyone can enjoy themselves. 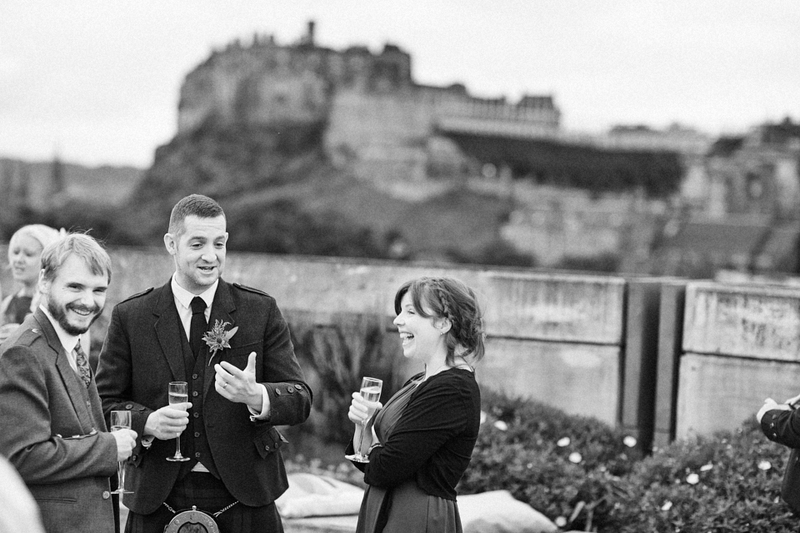 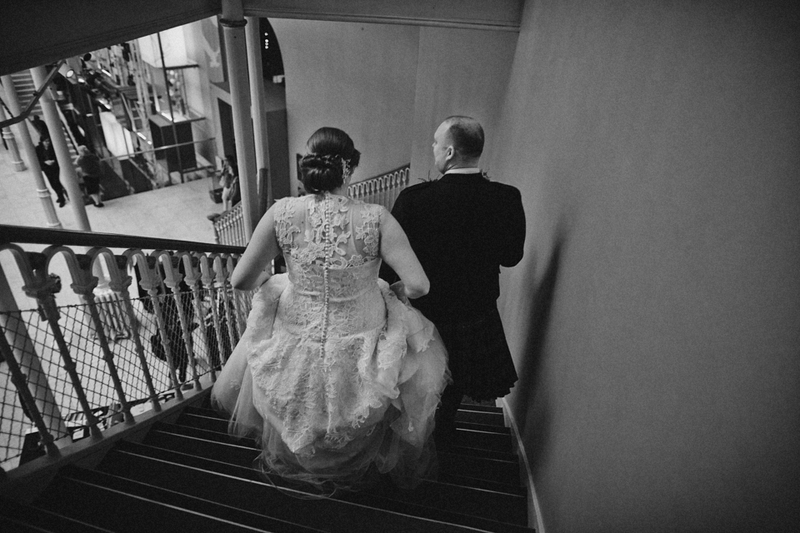 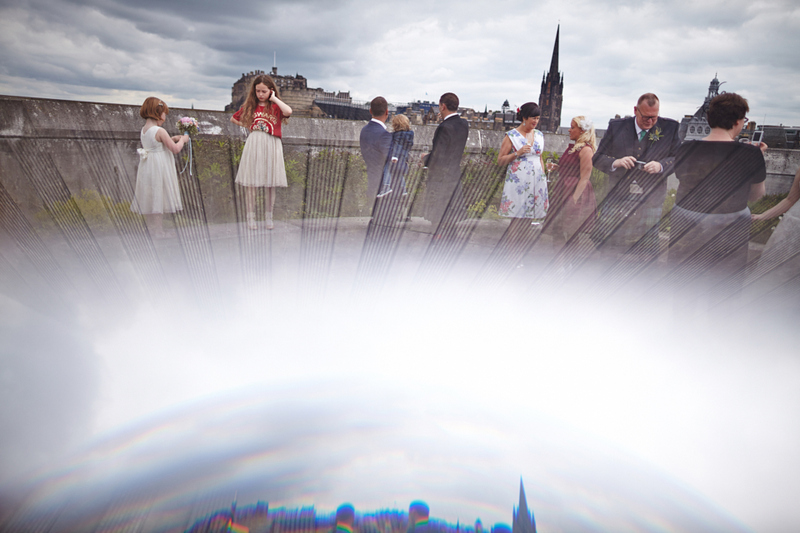 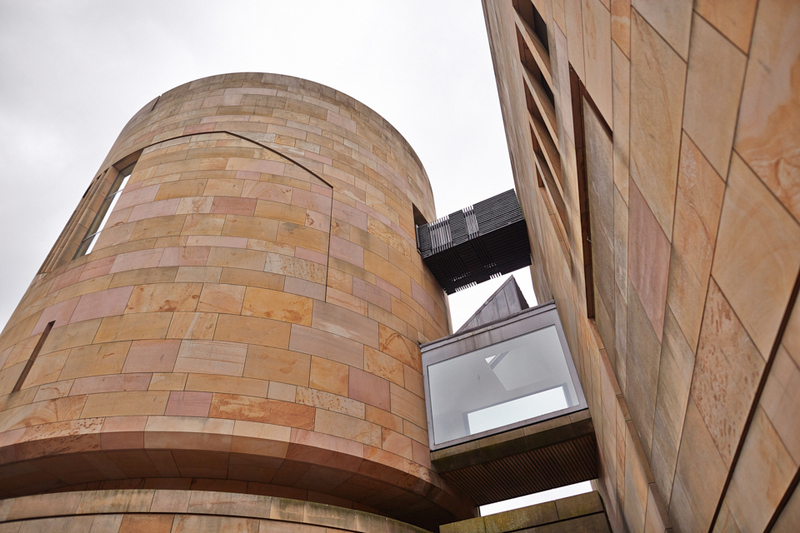 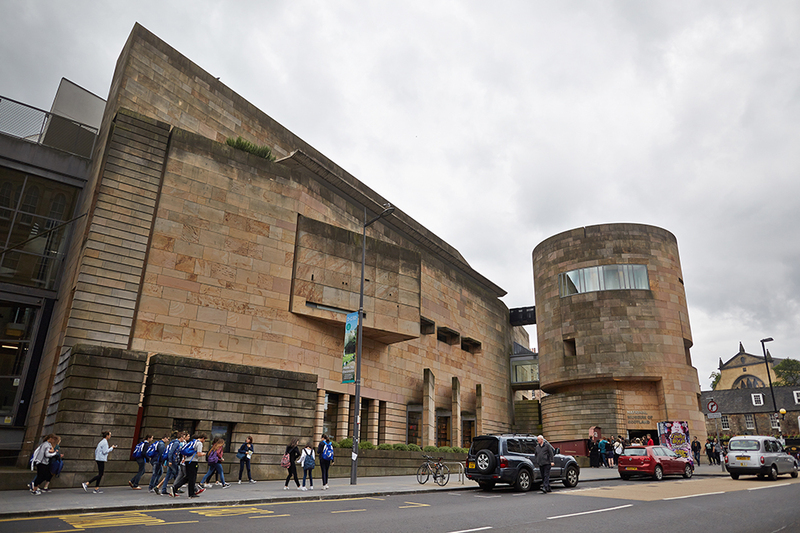 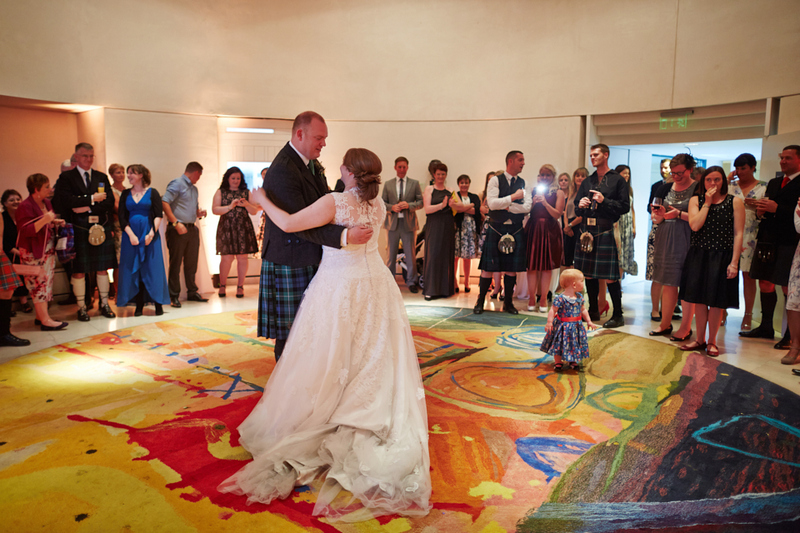 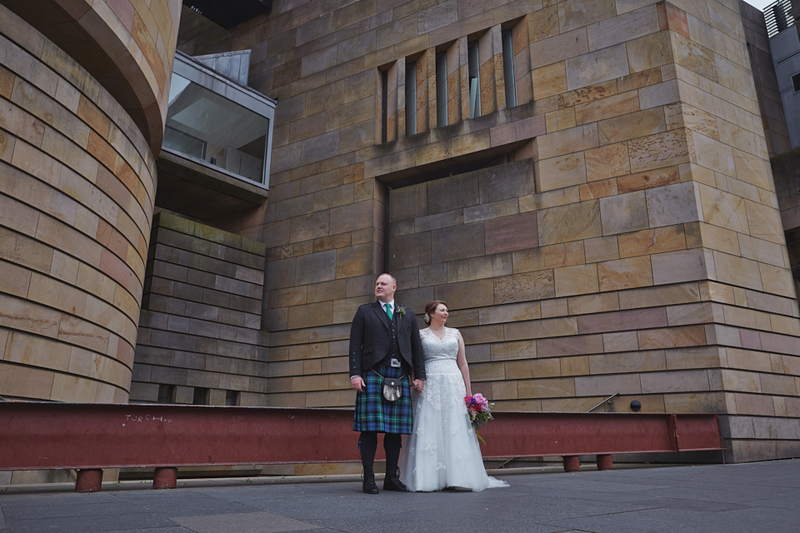 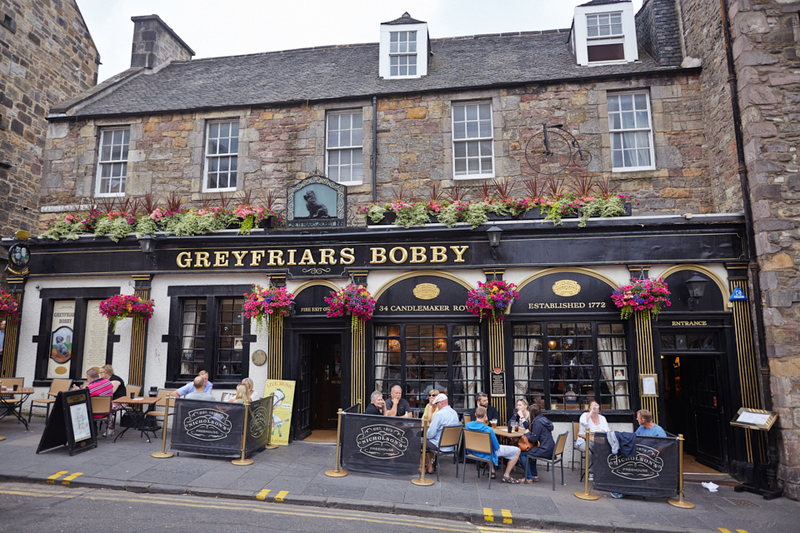 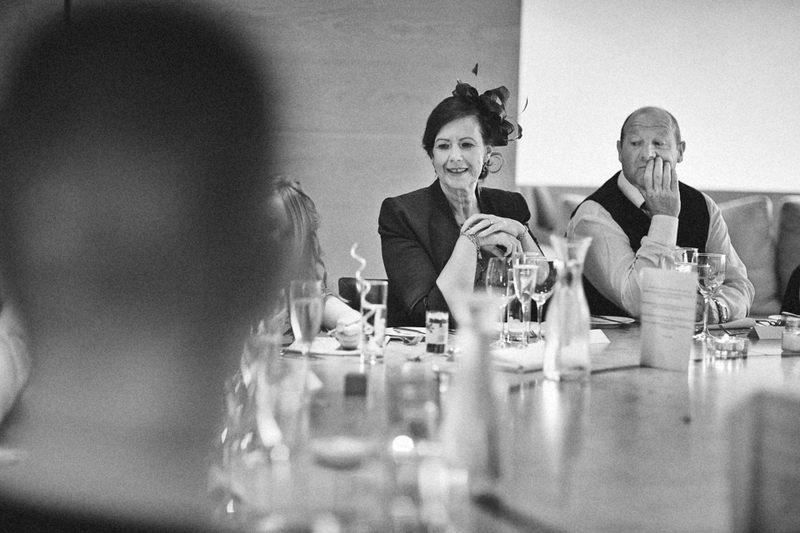 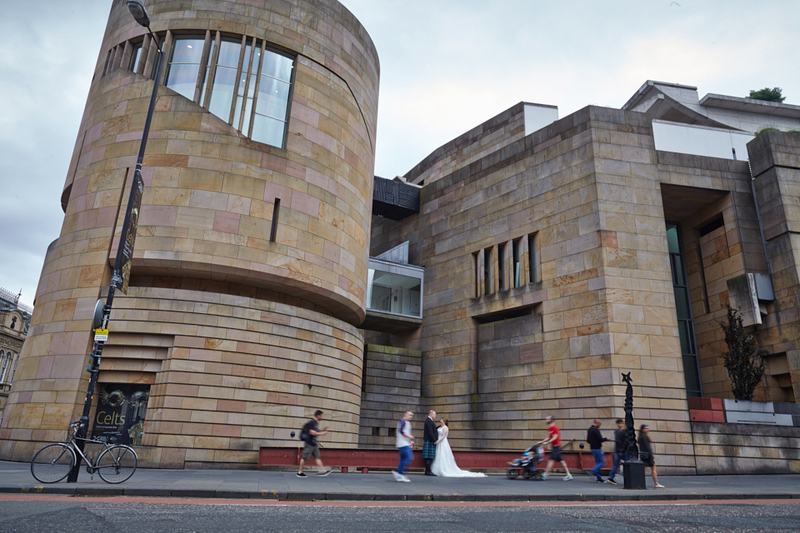 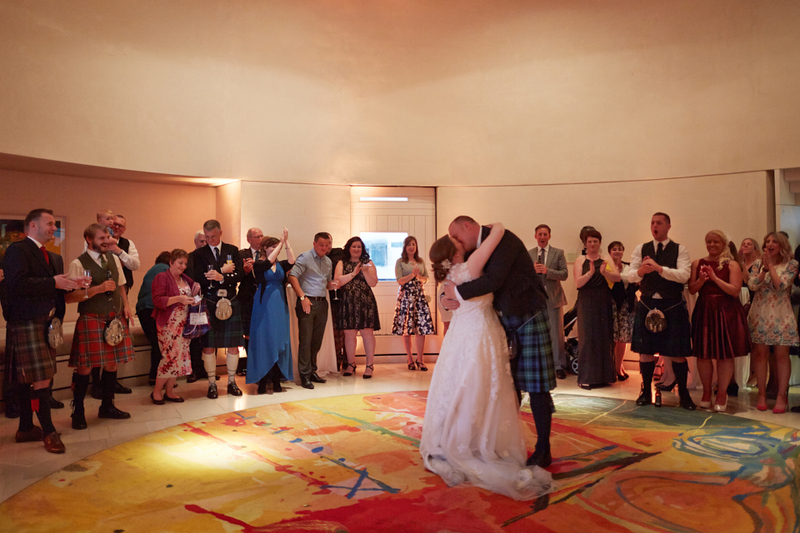 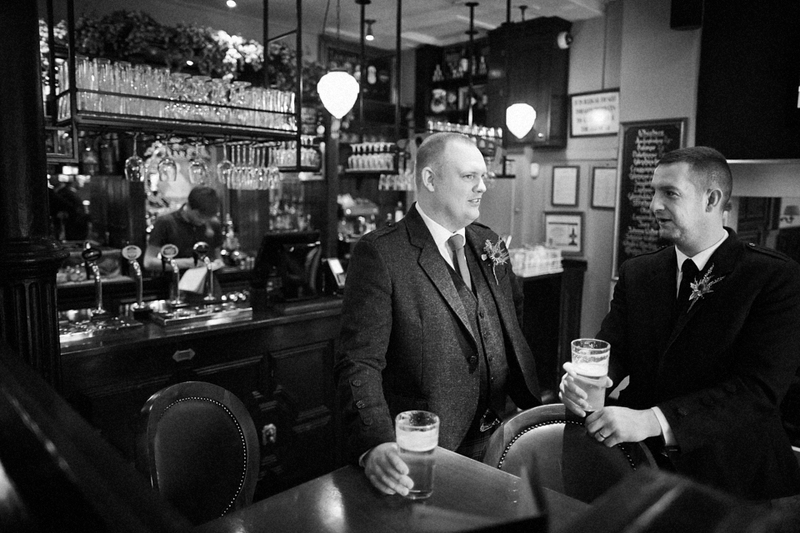 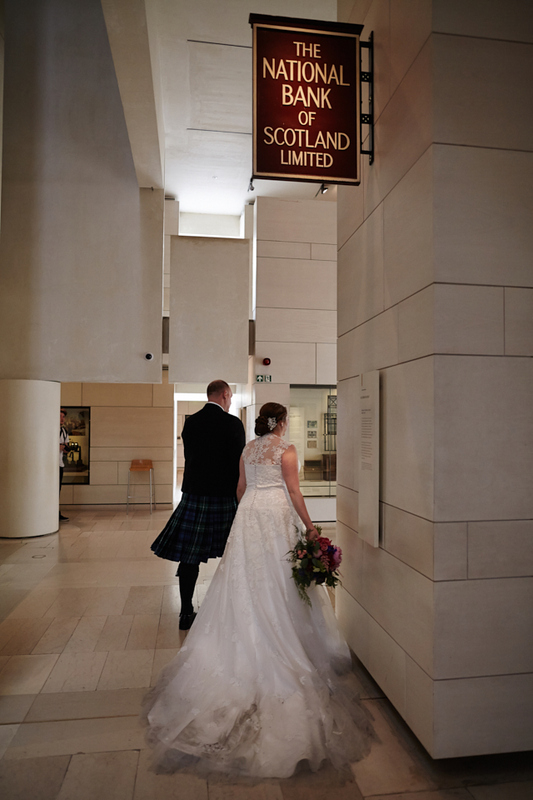 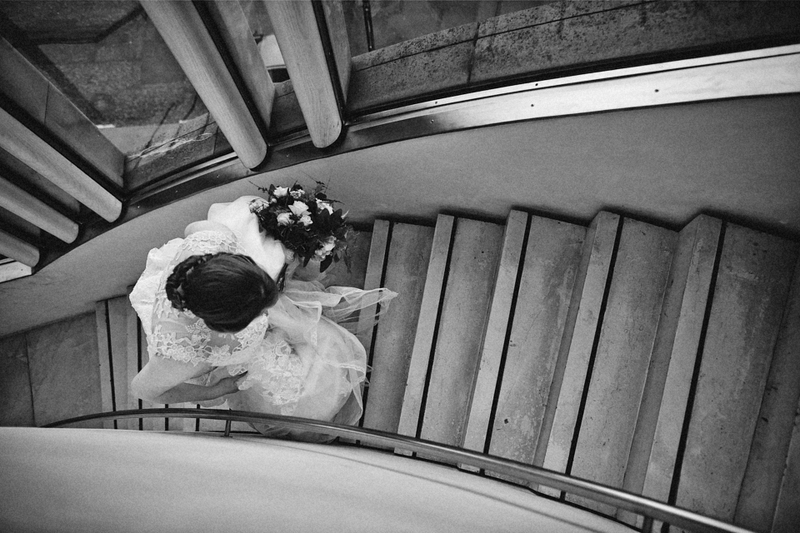 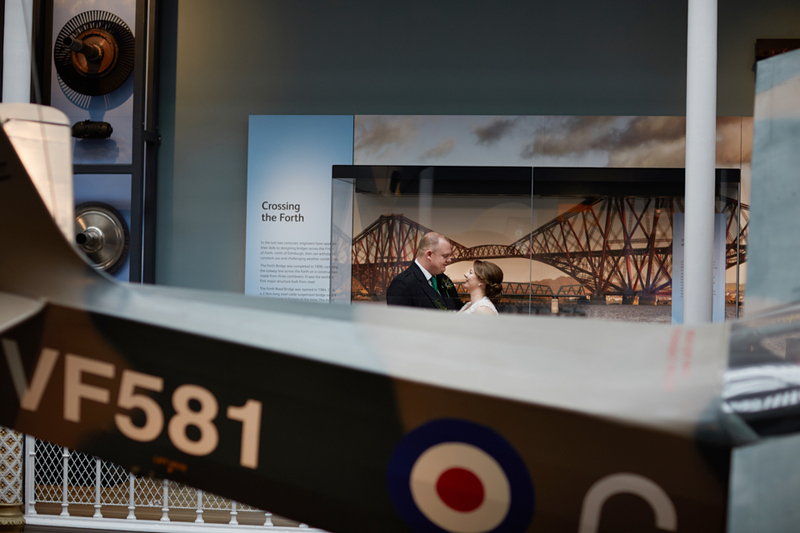 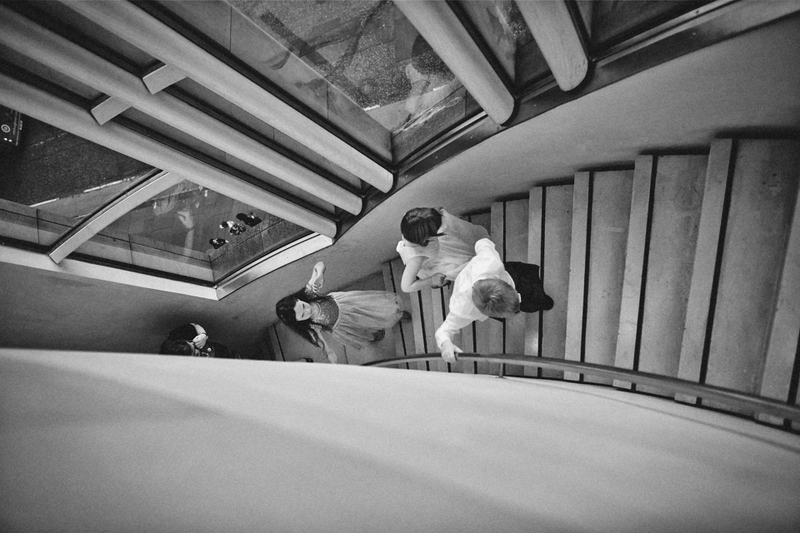 Fantastic couple and a great venue in the heart of Edinburgh.